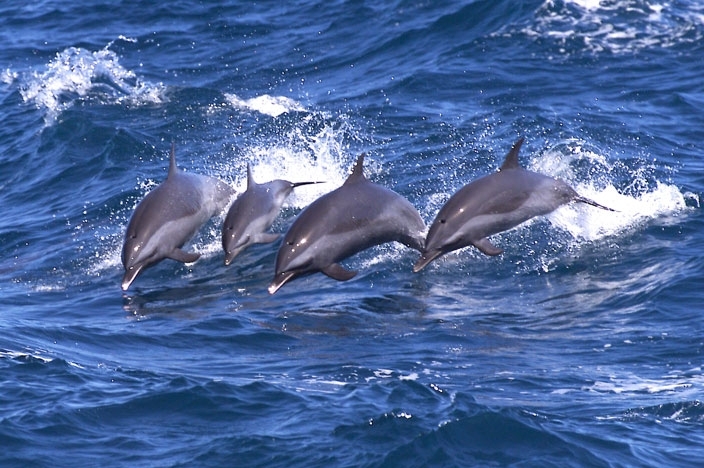 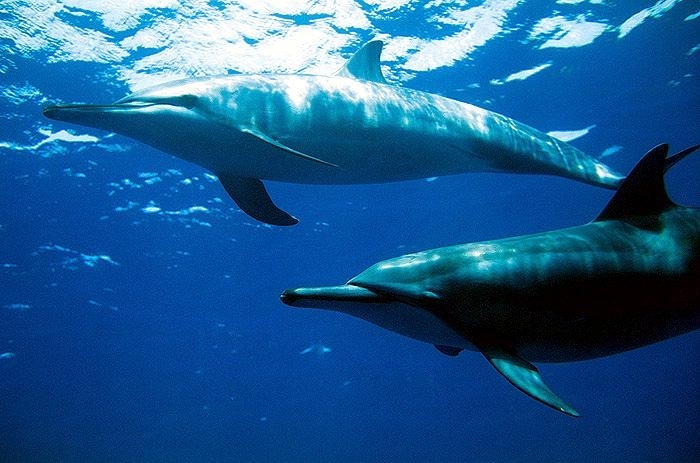 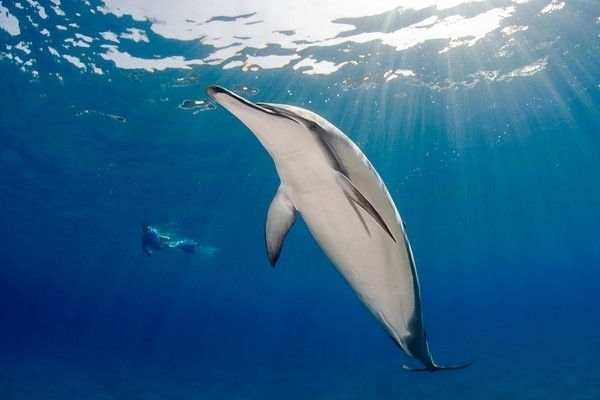 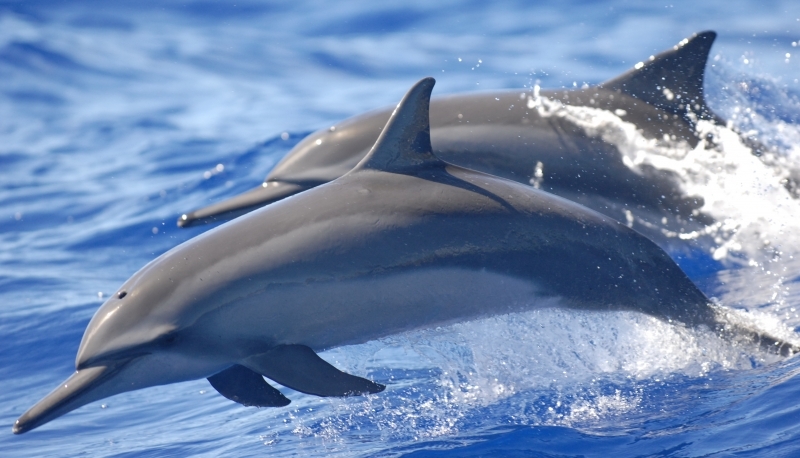 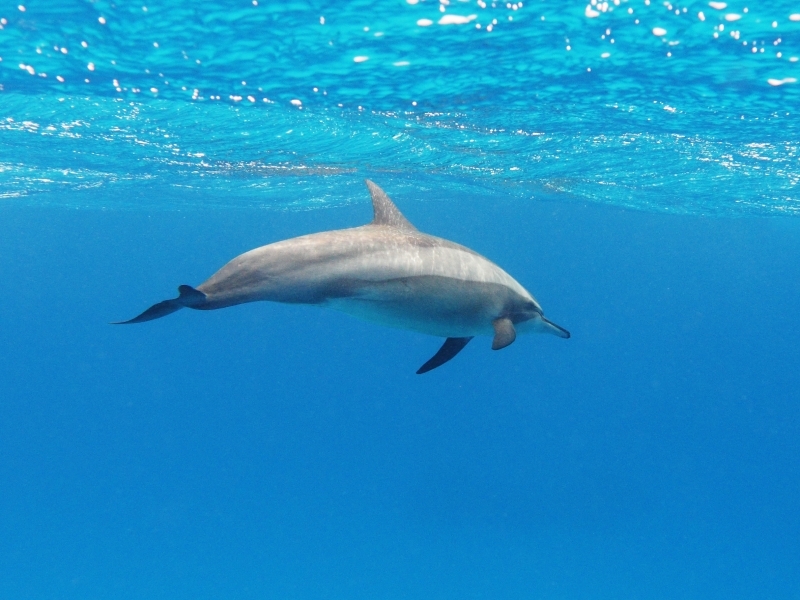 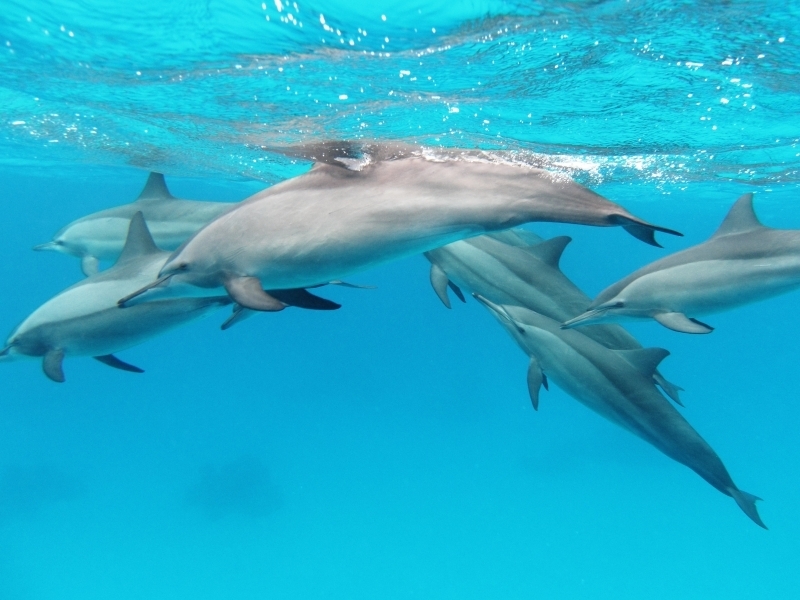 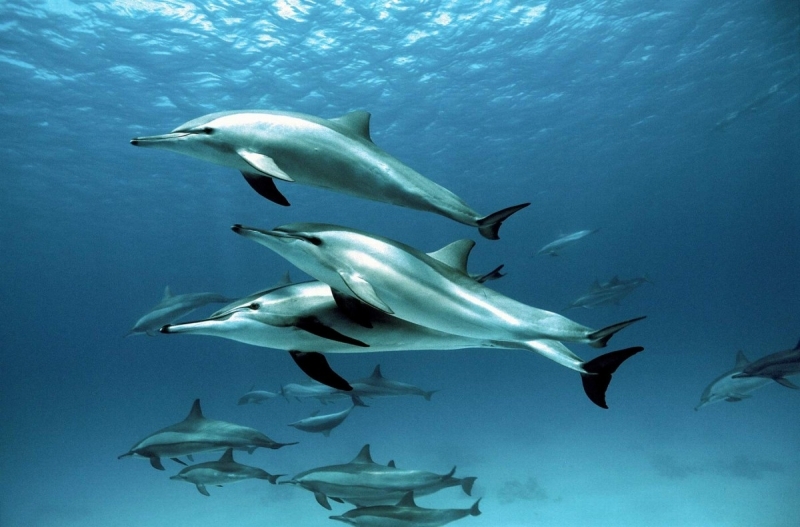 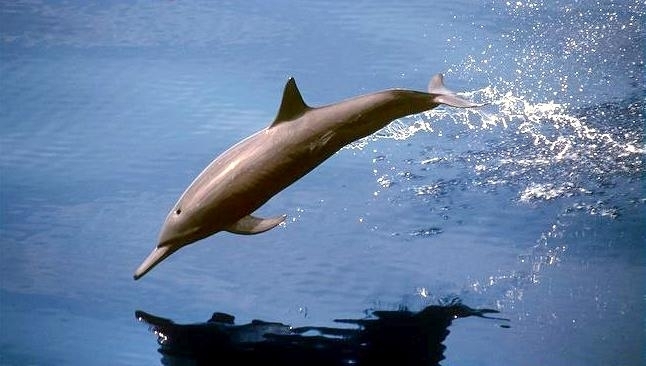 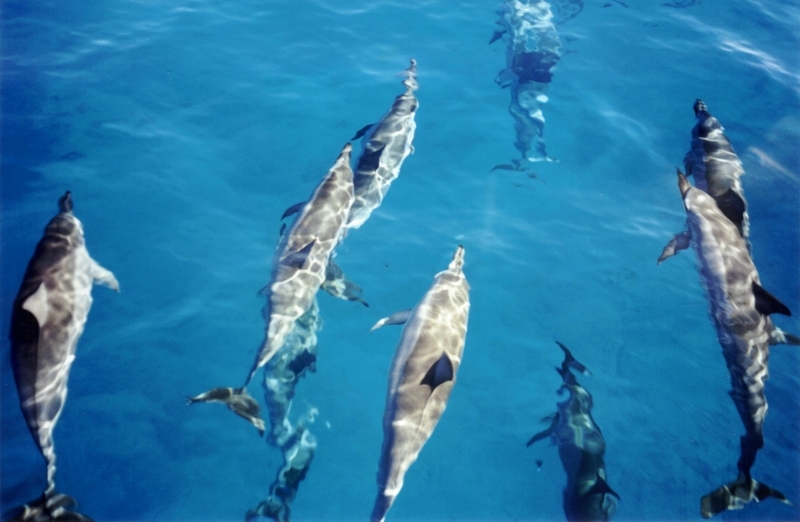 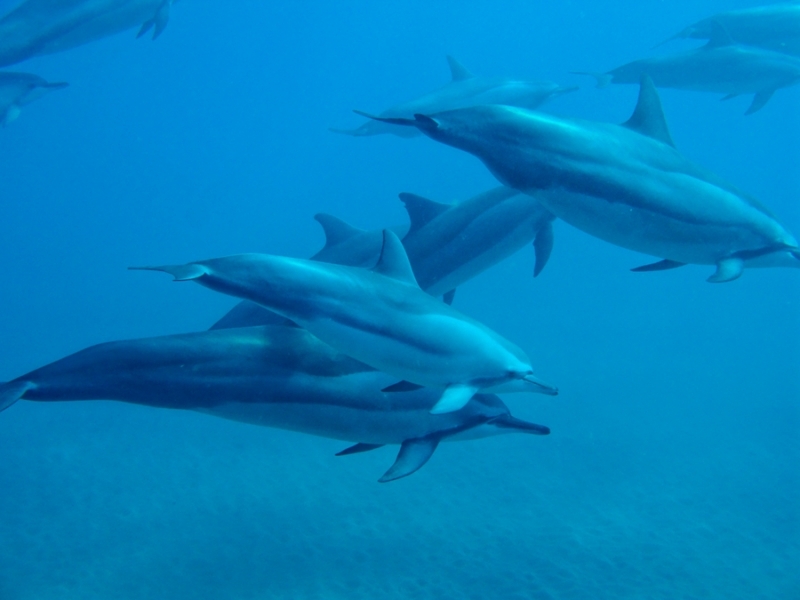 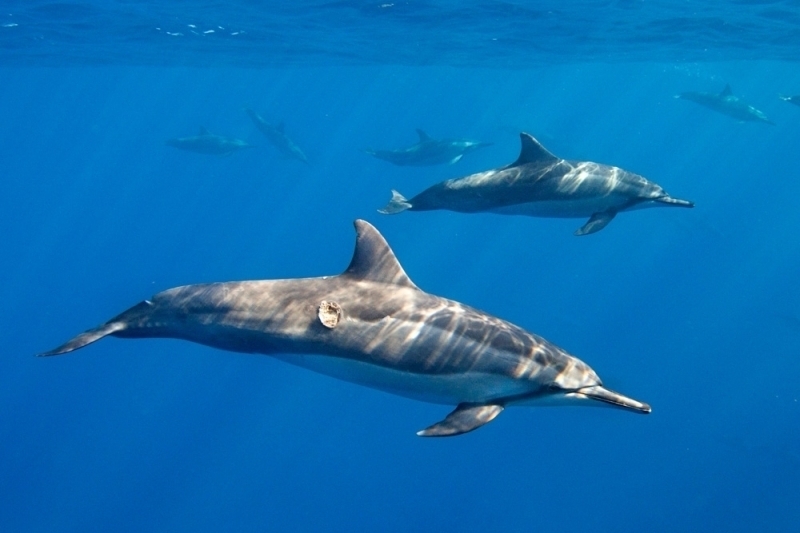 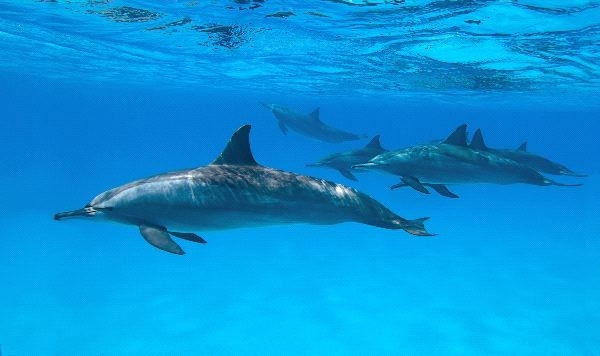 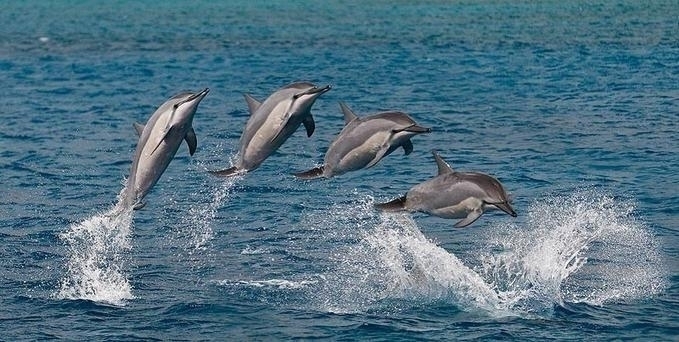 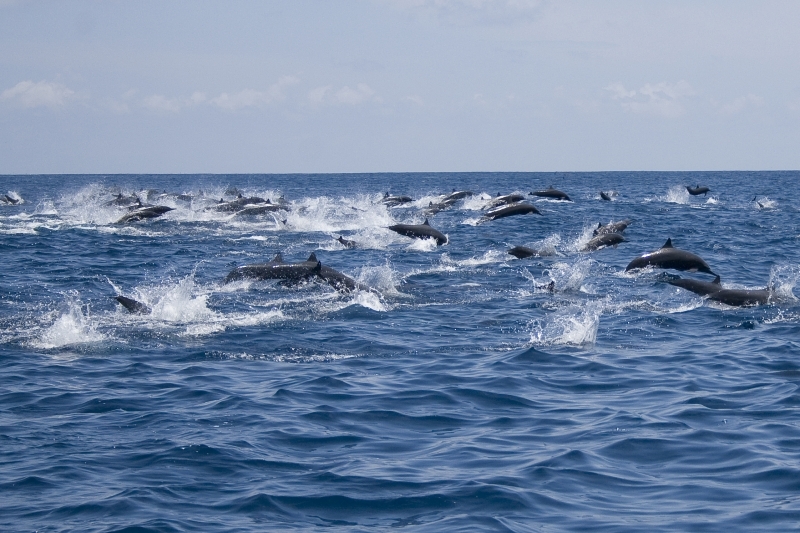 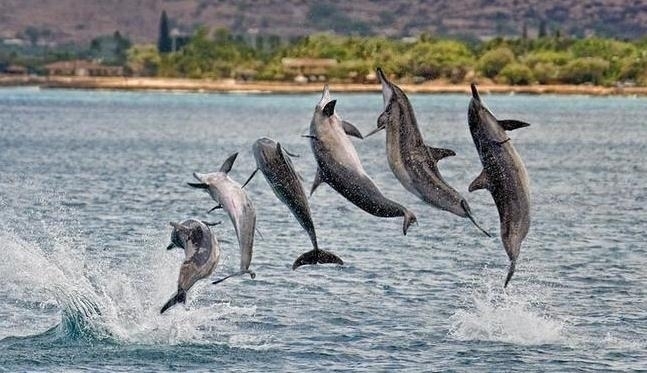 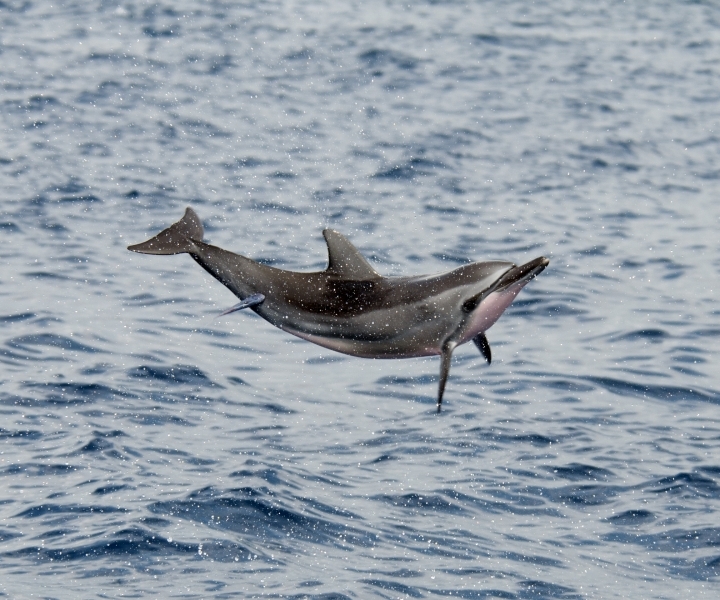 Spinner Dolphins measure about 2 meters in length and weigh about 90 kilograms. 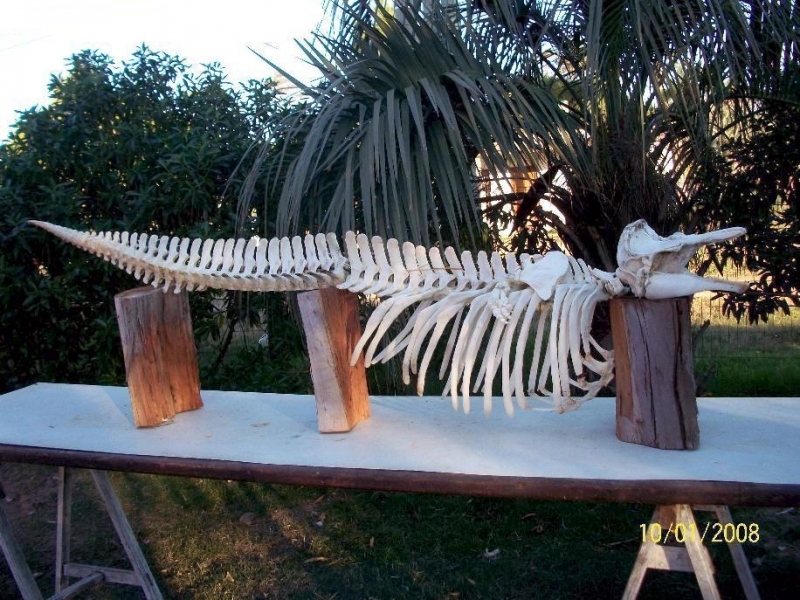 They have small, pointed flippers and curved dorsal fins at the center of their bodies. 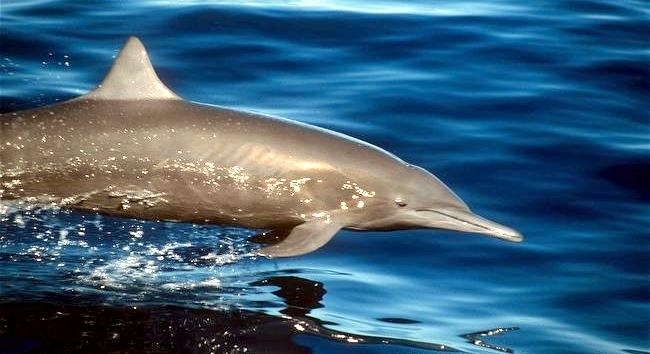 Spinner Dolphins are dark gray on their dorsal (top) sides with a lighter gray area that runs from their eyes to their tails. 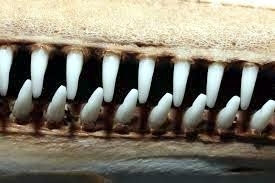 Their ventral (under) side is white. 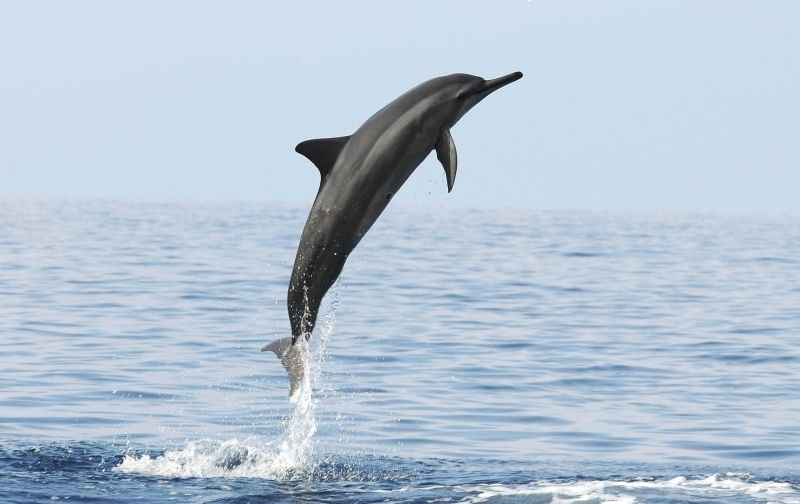 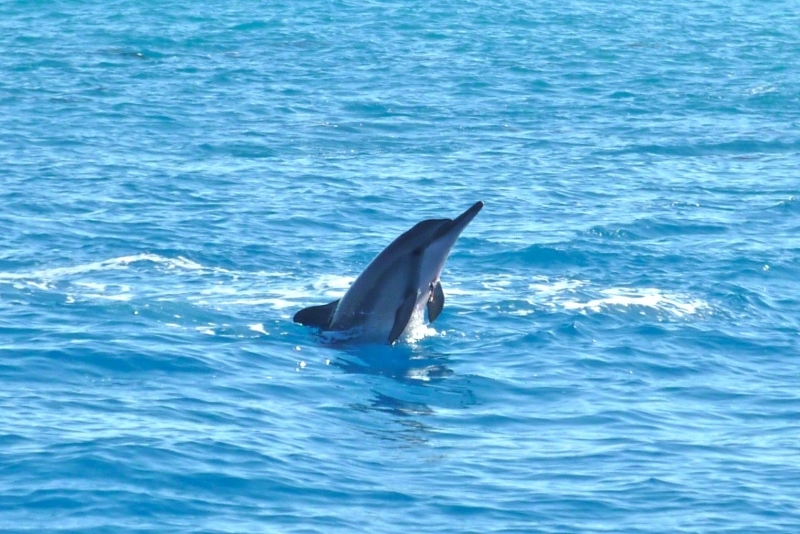 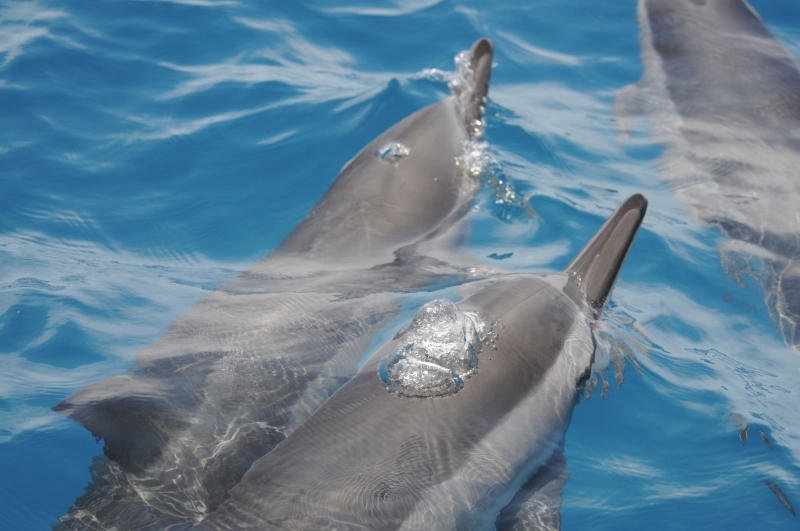 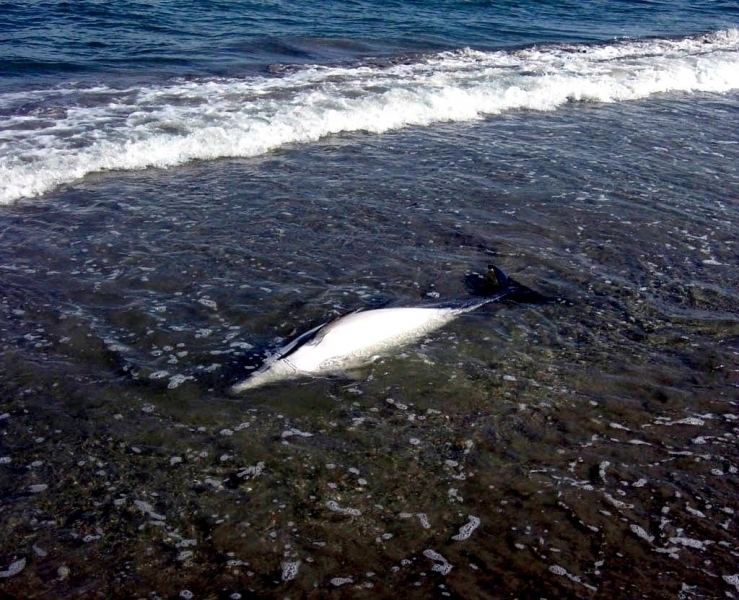 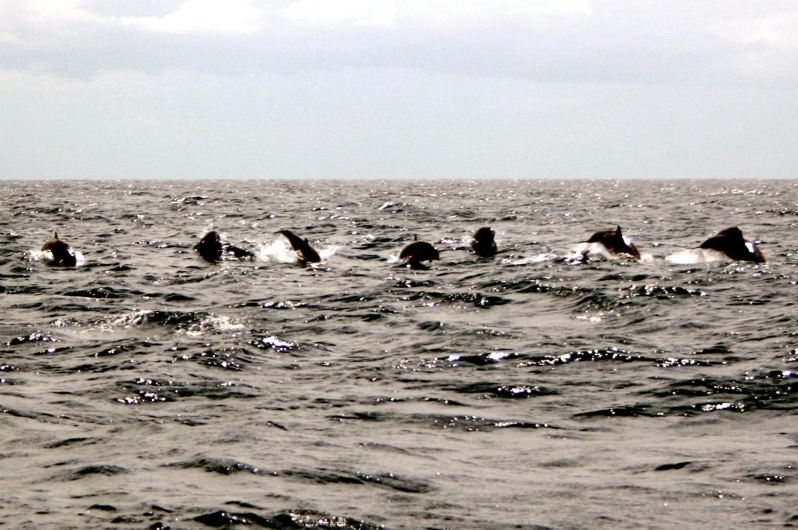 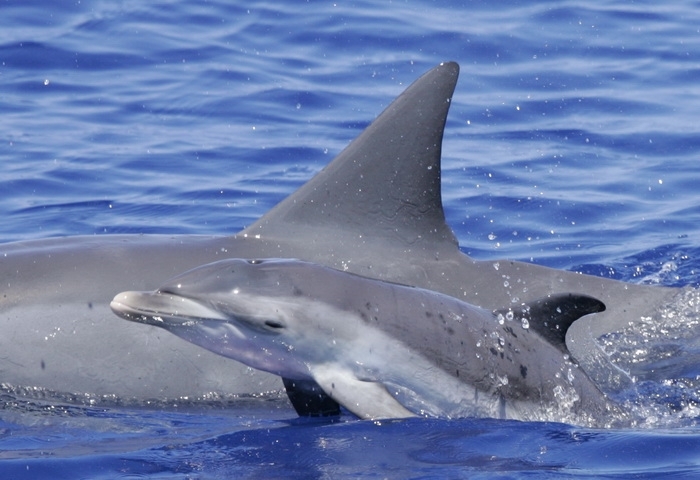 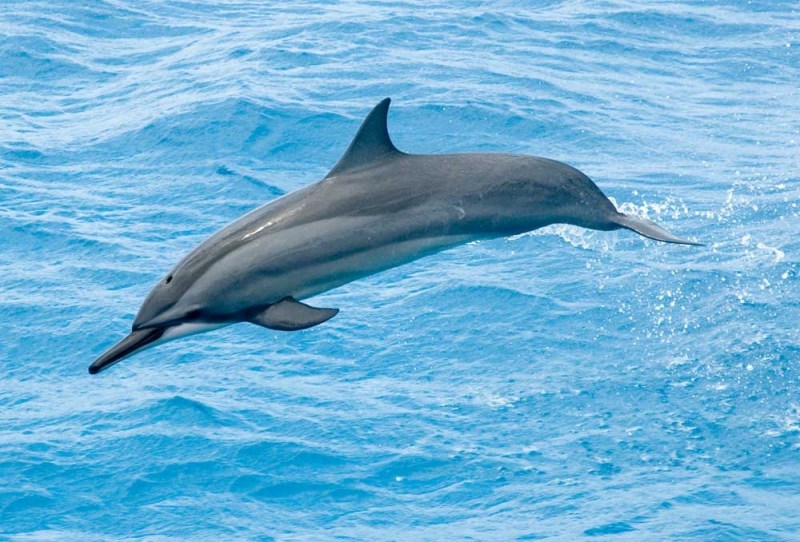 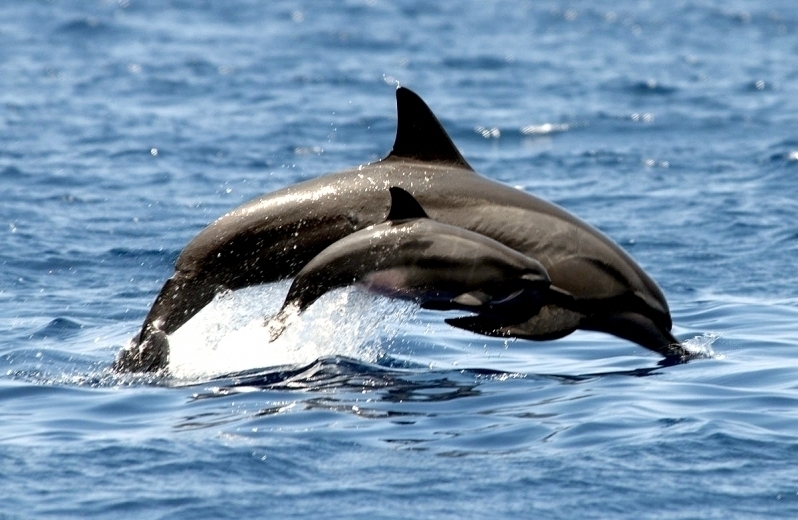 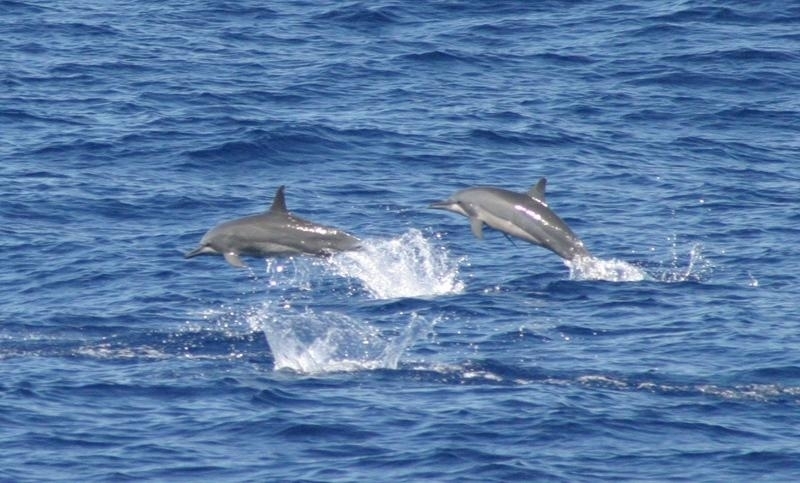 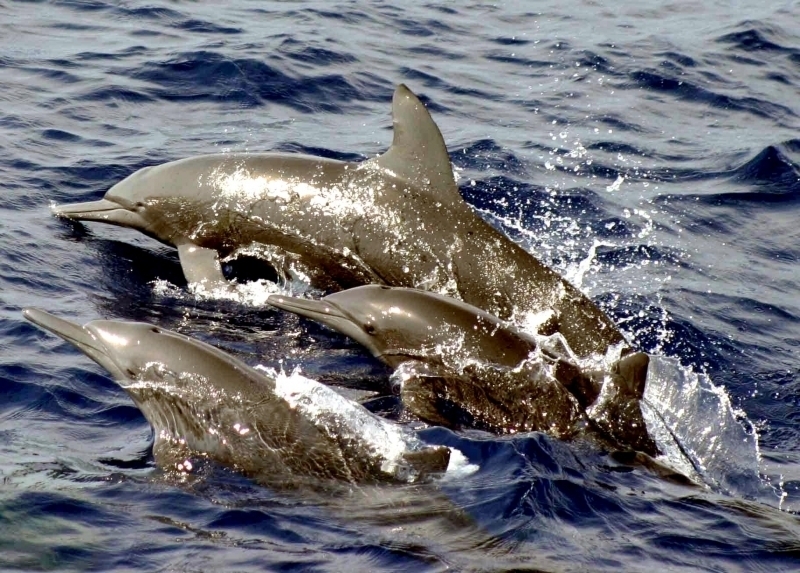 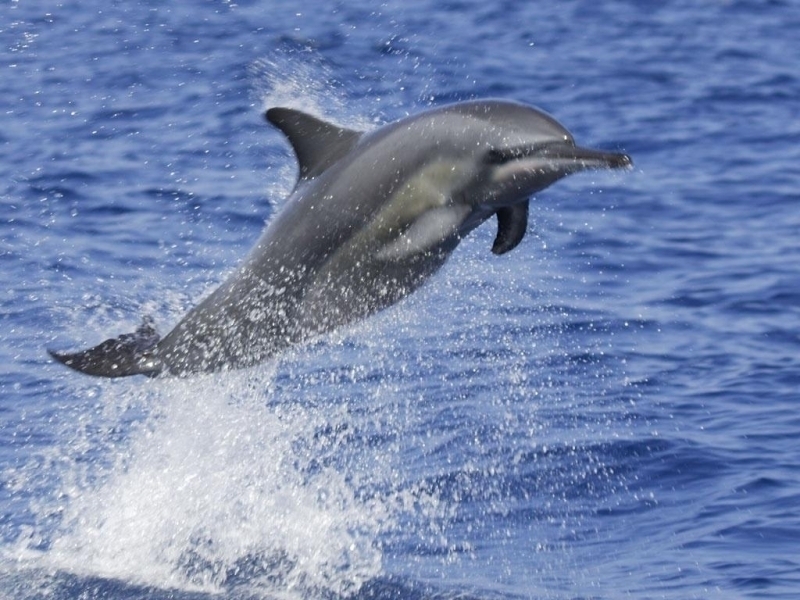 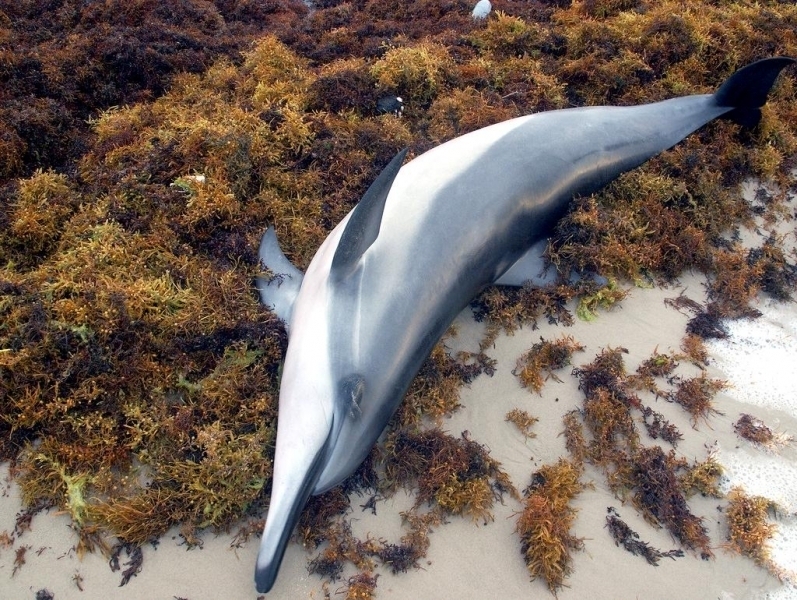 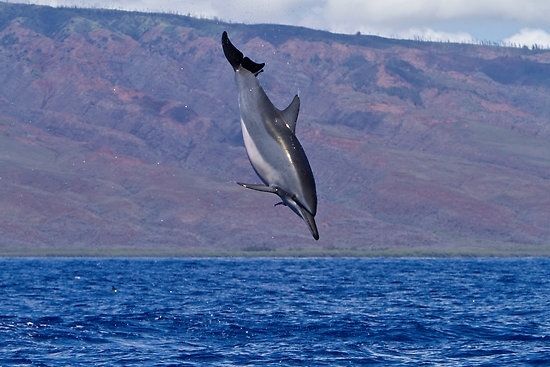 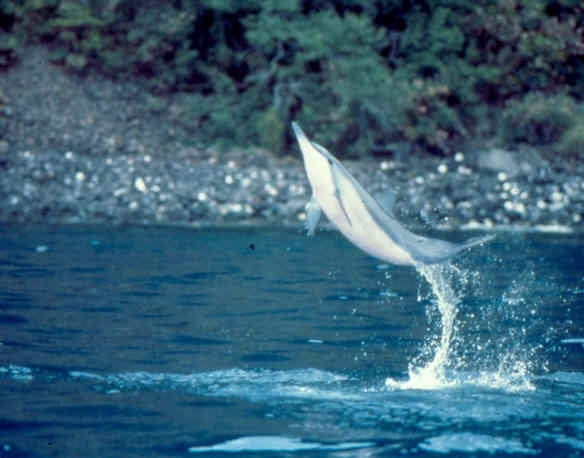 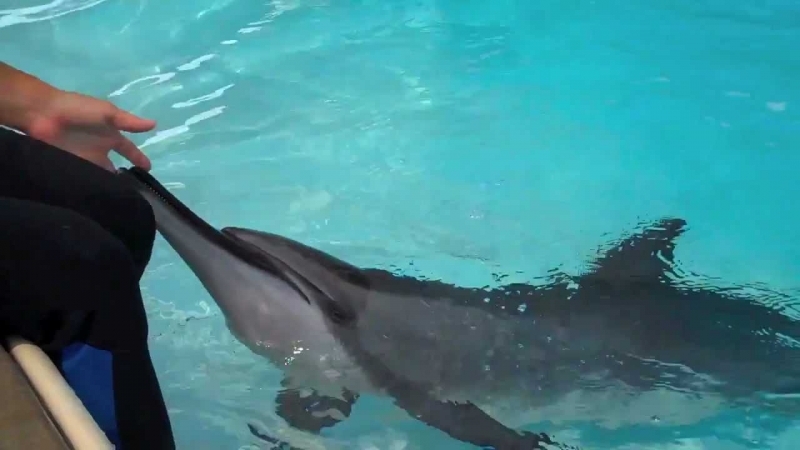 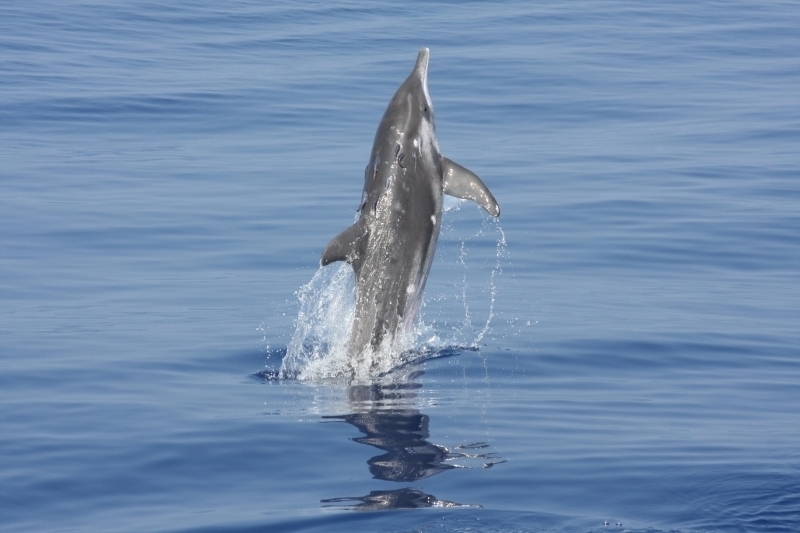 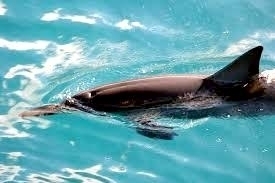 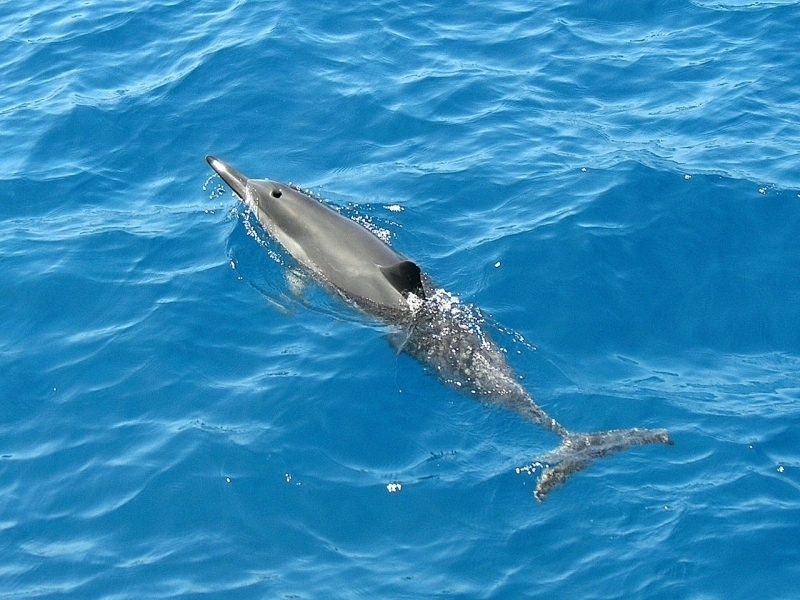 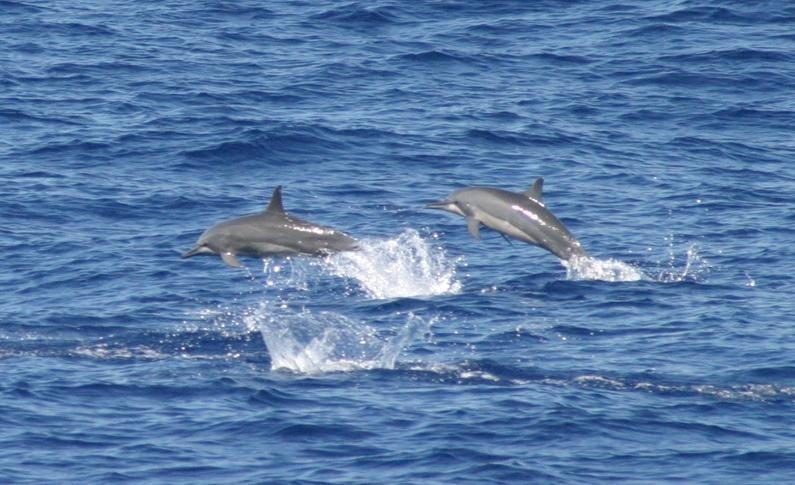 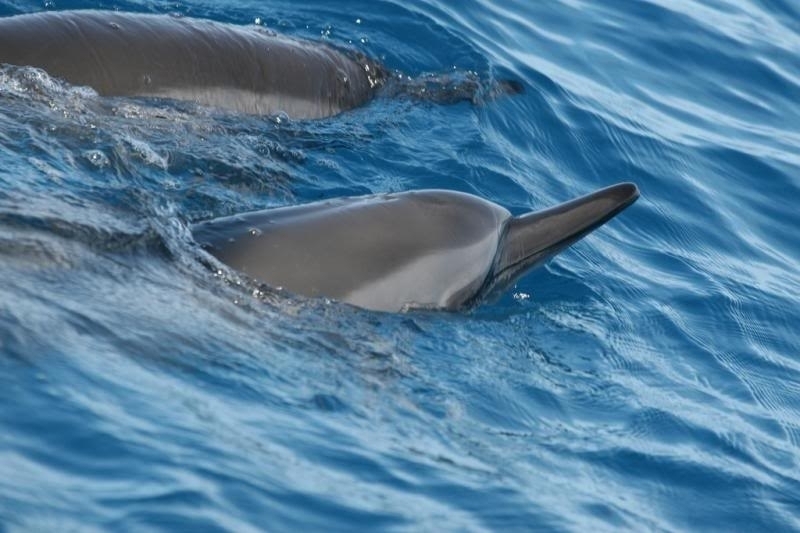 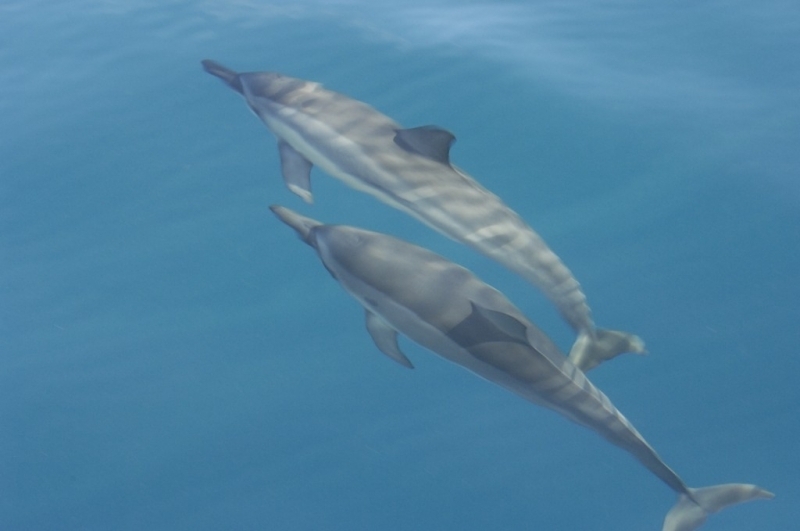 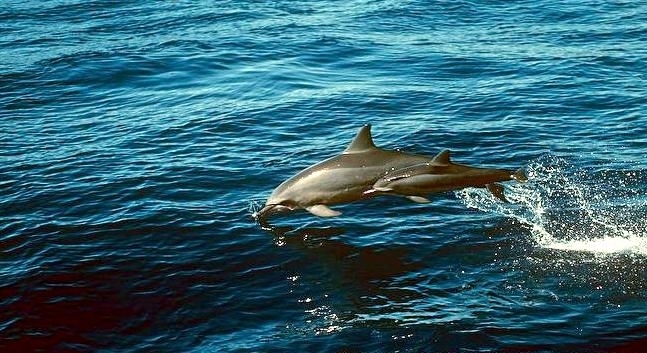 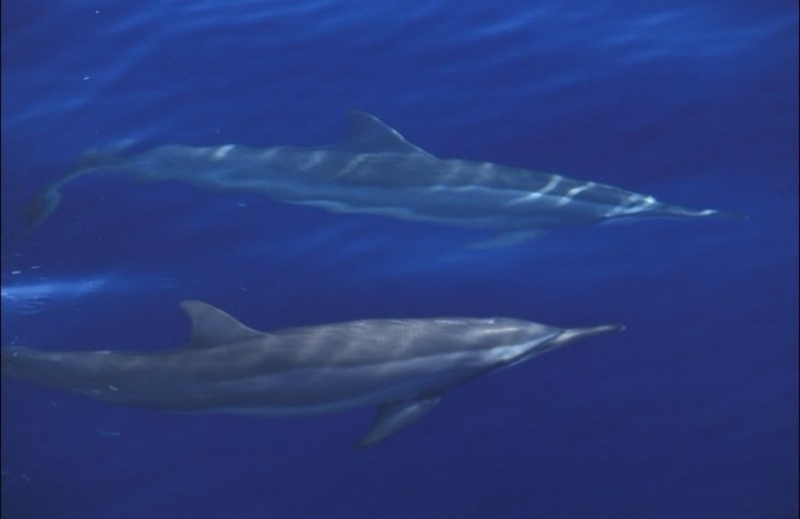 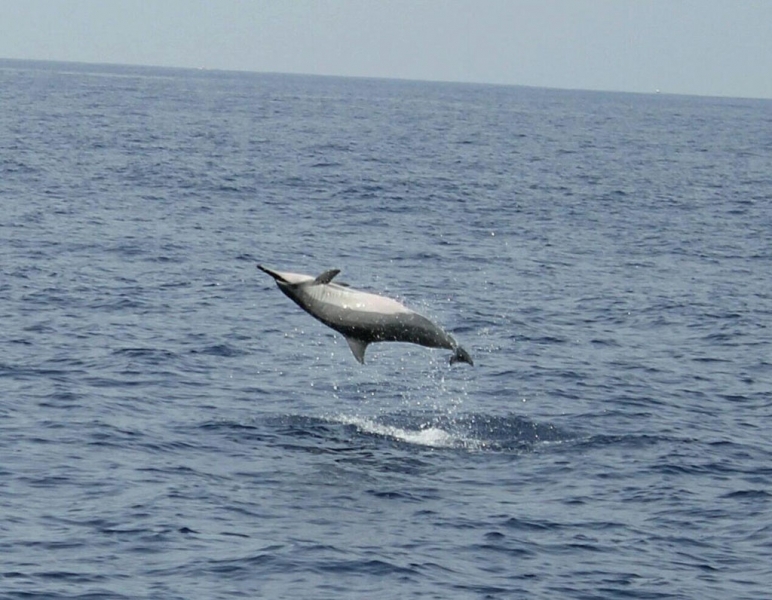 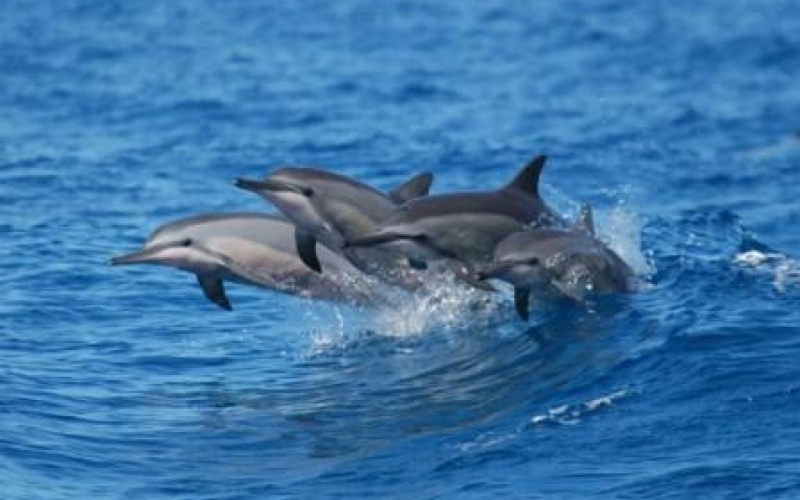 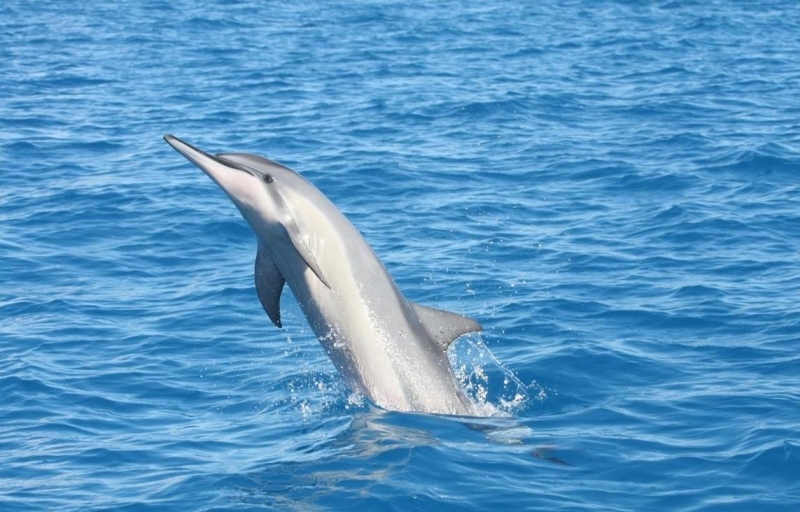 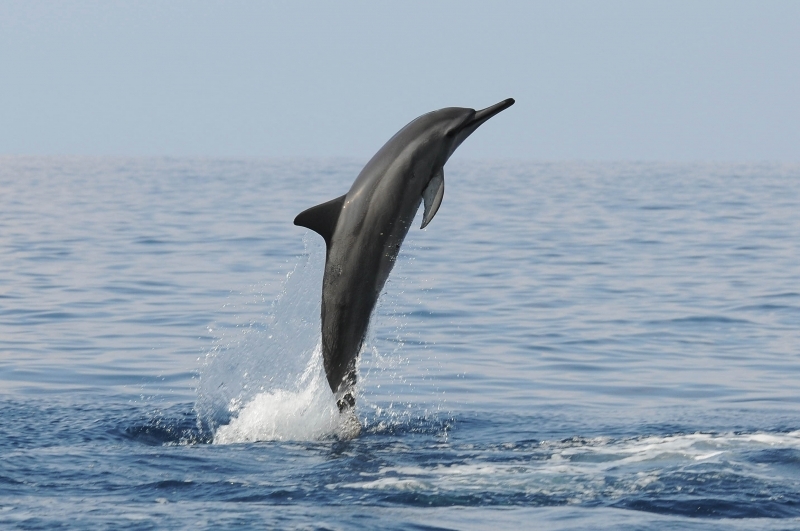 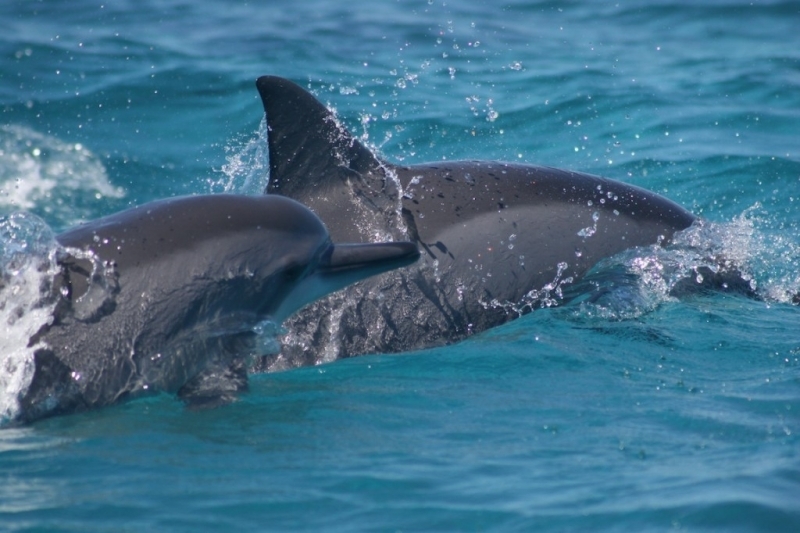 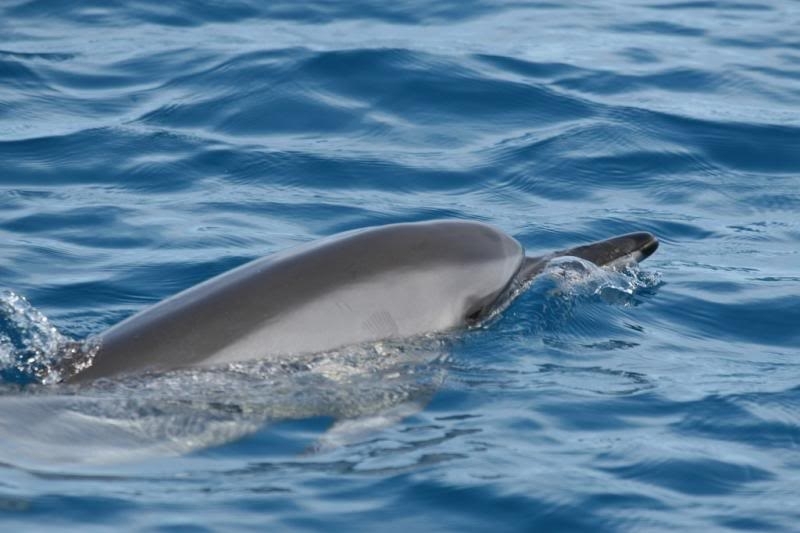 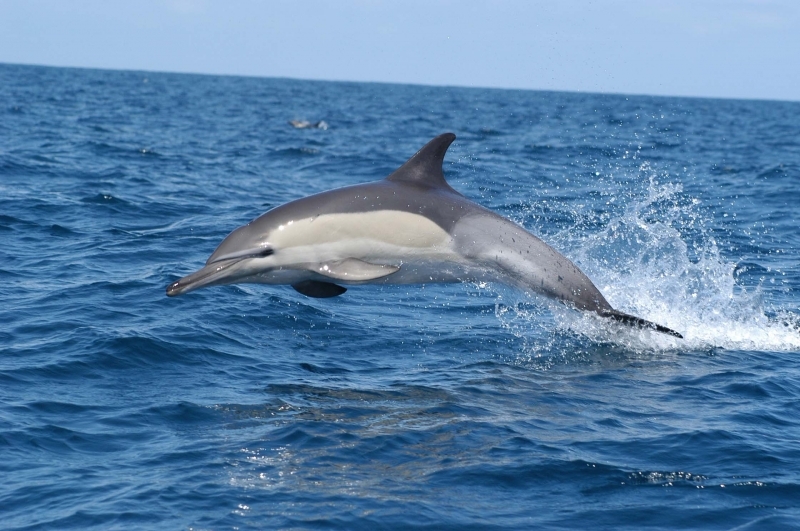 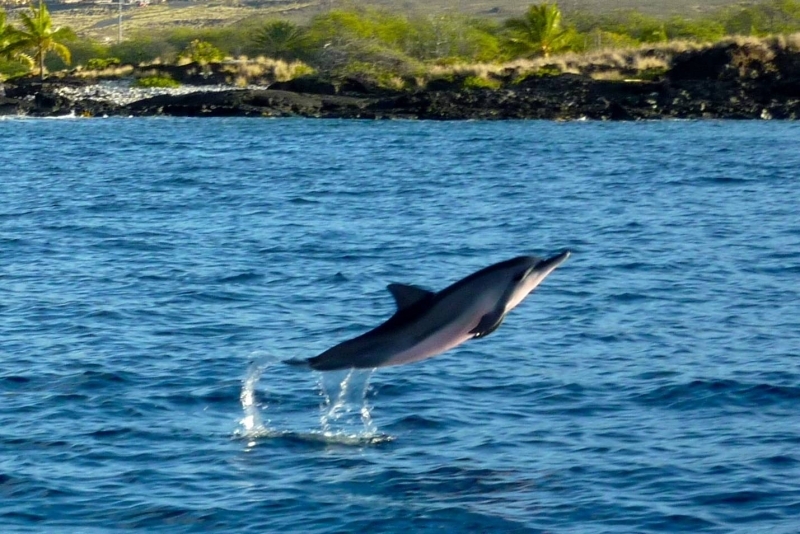 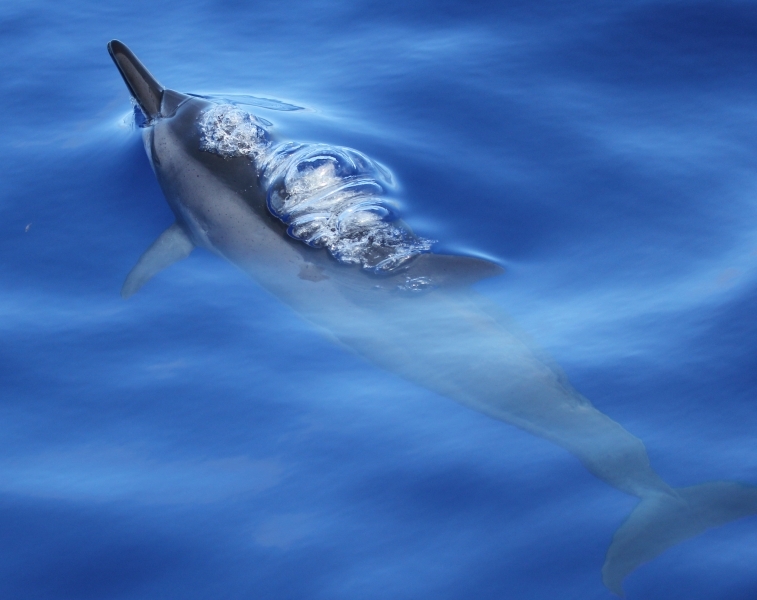 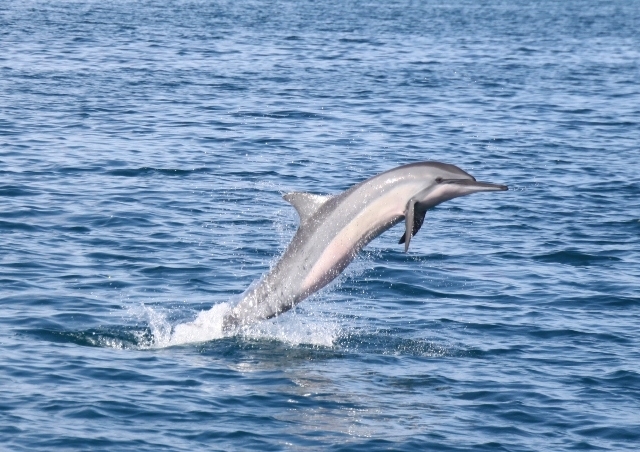 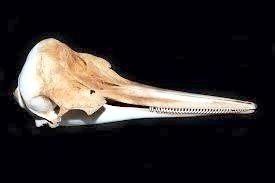 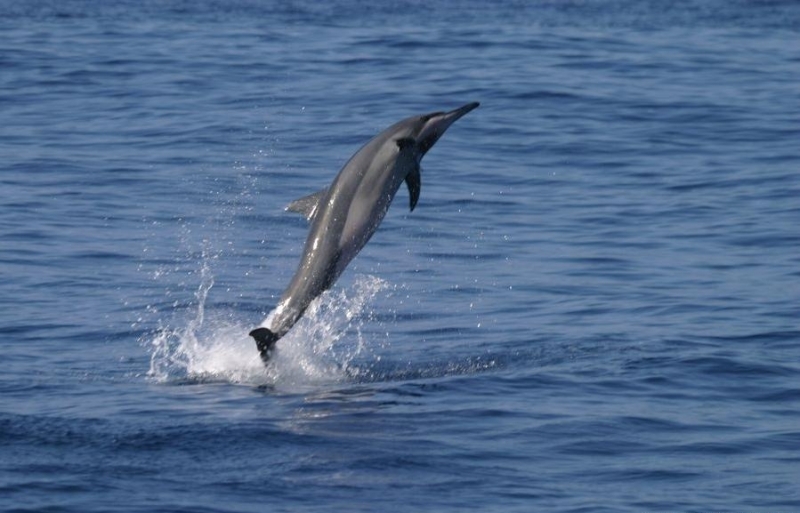 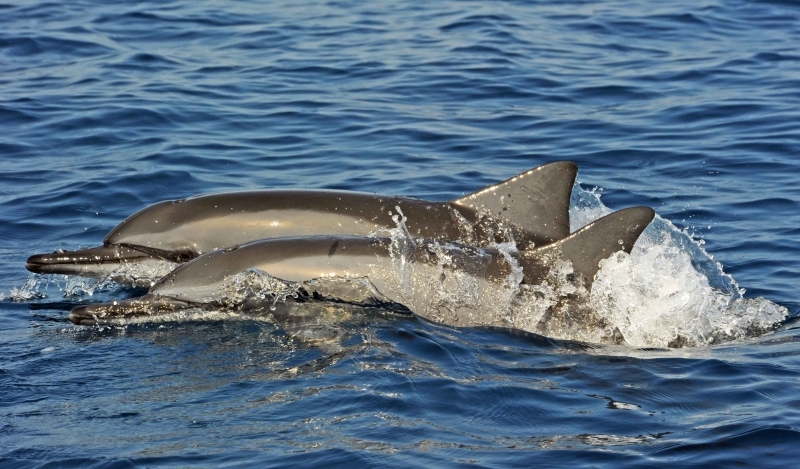 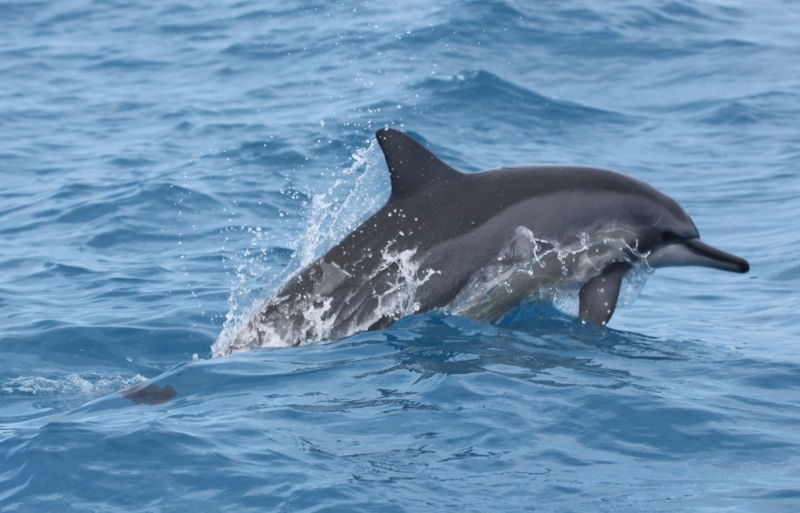 Body shape and color also vary regionally, but in general Spinner Dolphins are small cetaceans with slender bodies. 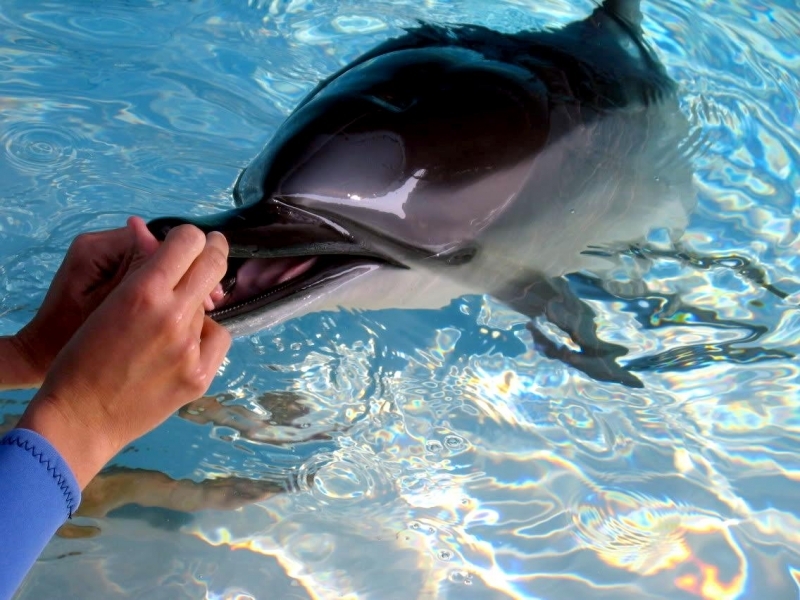 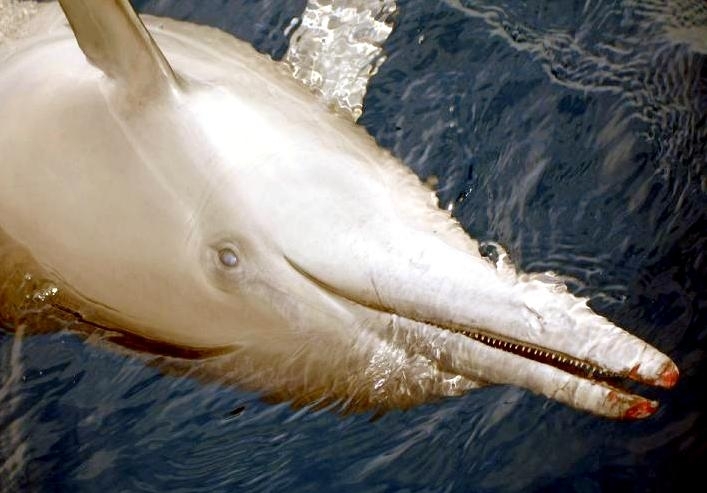 This species has more teeth than other dolphins; between 45-65 sharp, pointed teeth are found in each side of both the upper & lower jaws. 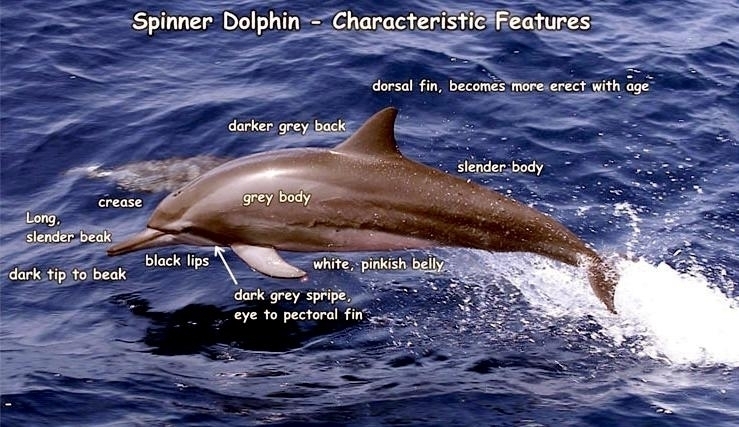 They have small pointed flippers and are variations of gray in color with white ventral (under) sides. 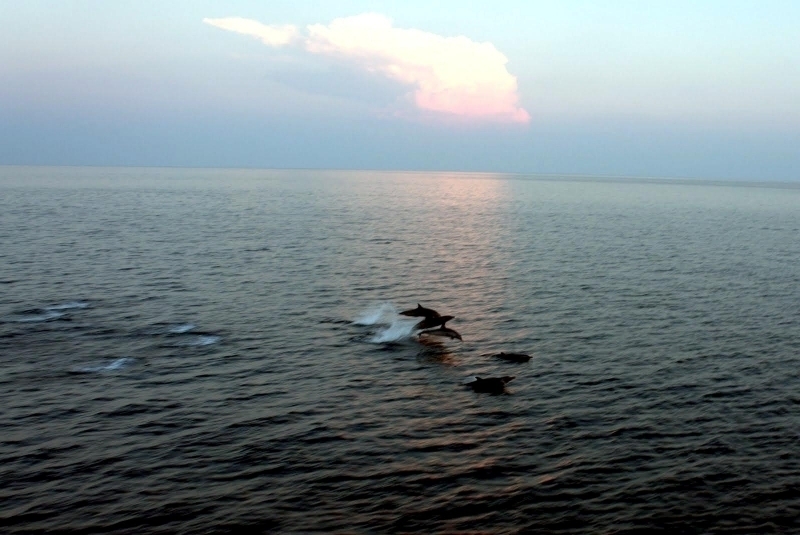 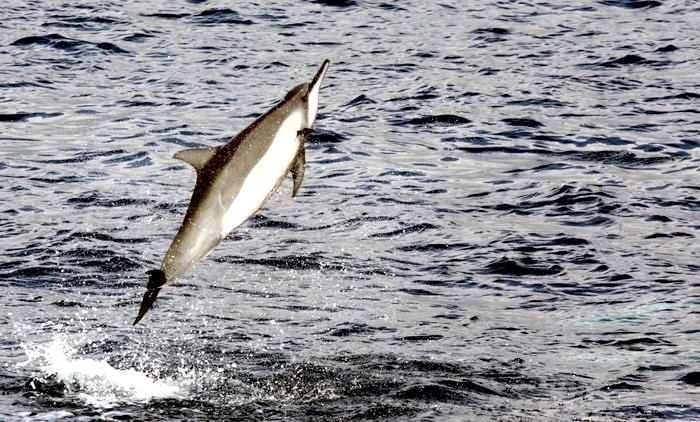 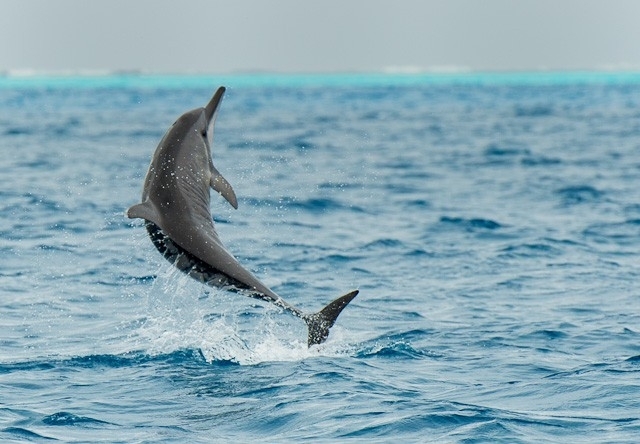 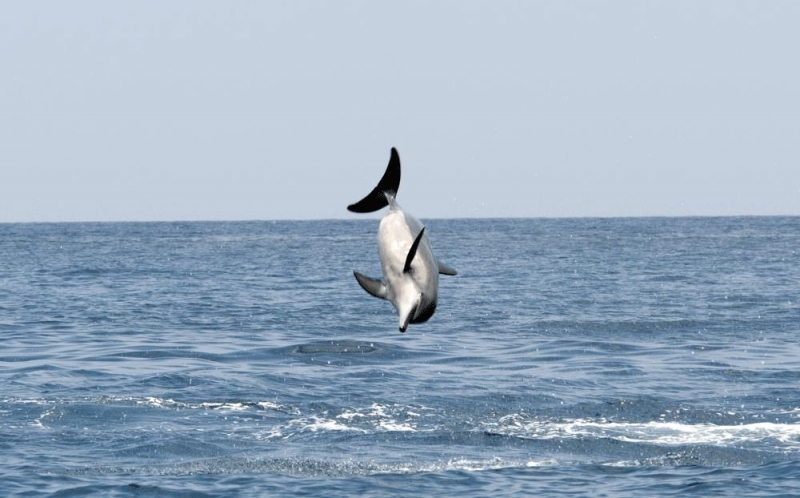 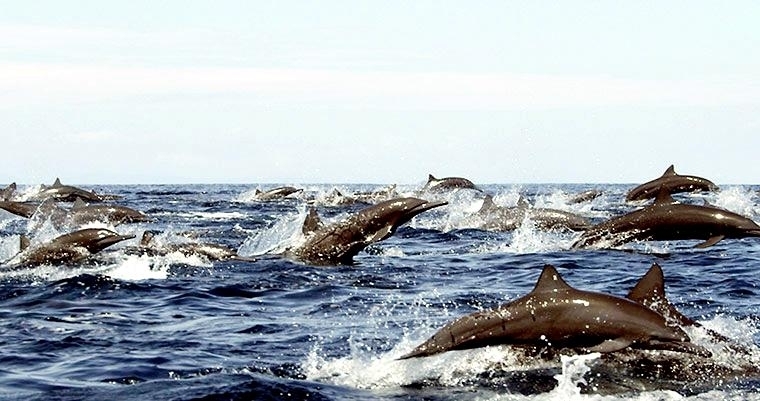 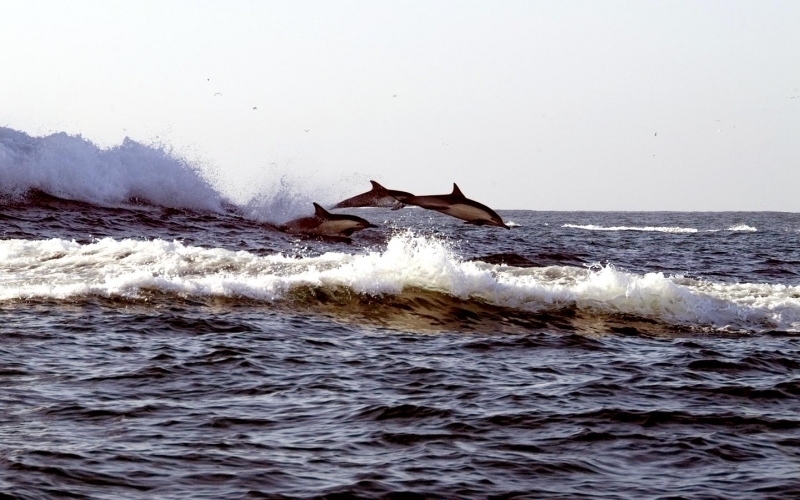 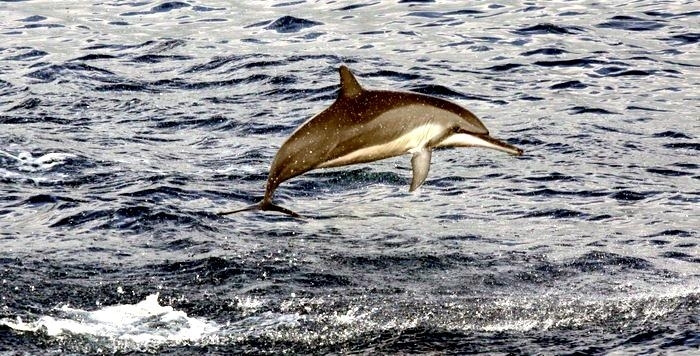 Spinner Dolphins are a very gregarious species frequently traveling together in pods and with other species, such Atlantic Spotted Dolphins and Humpback Whales. 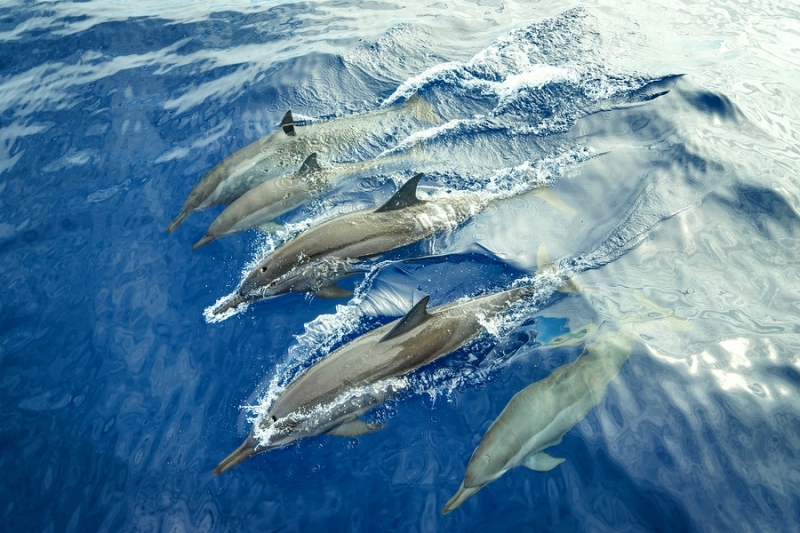 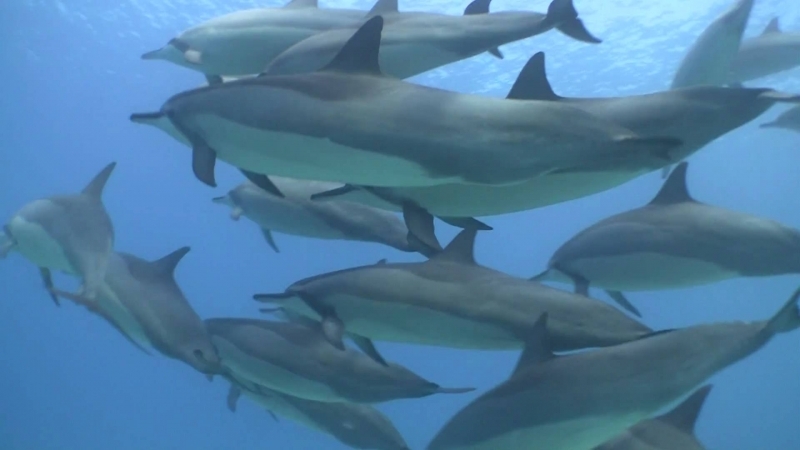 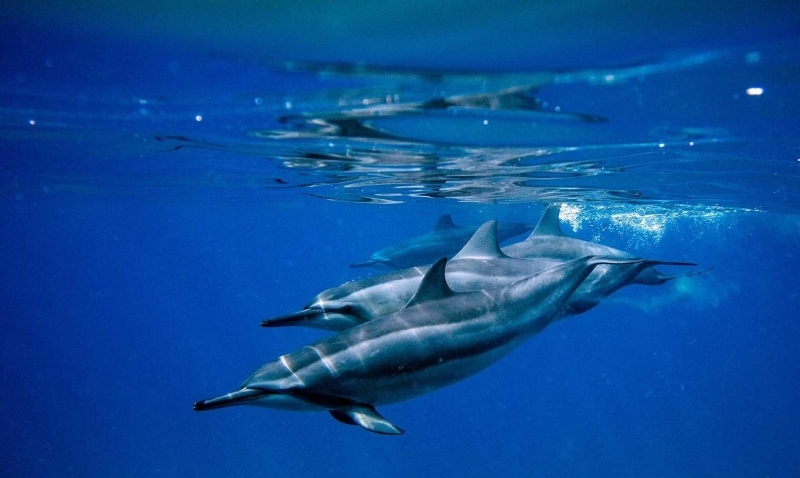 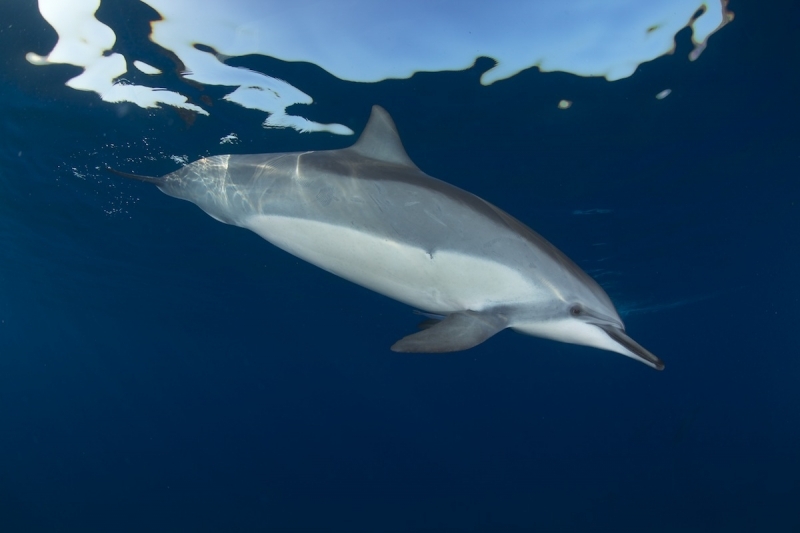 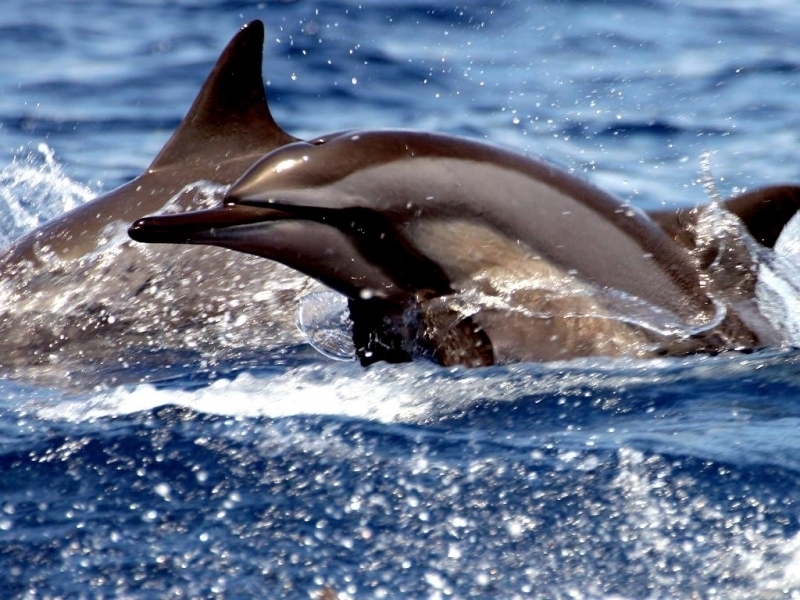 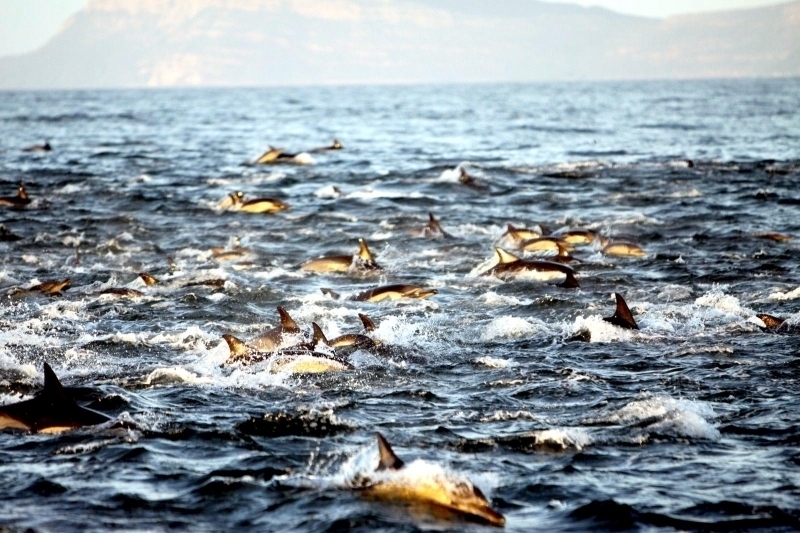 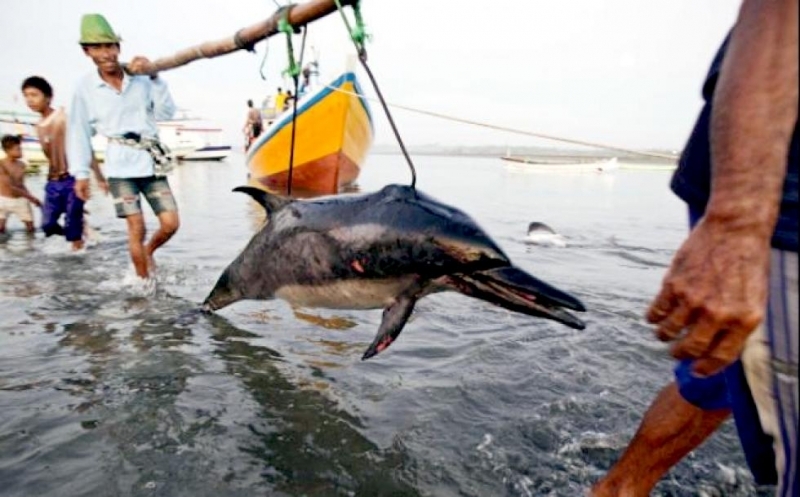 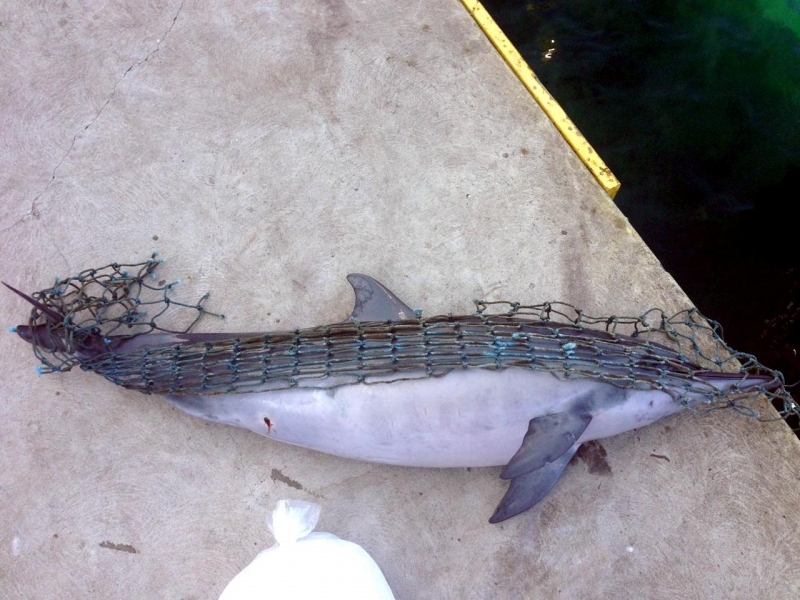 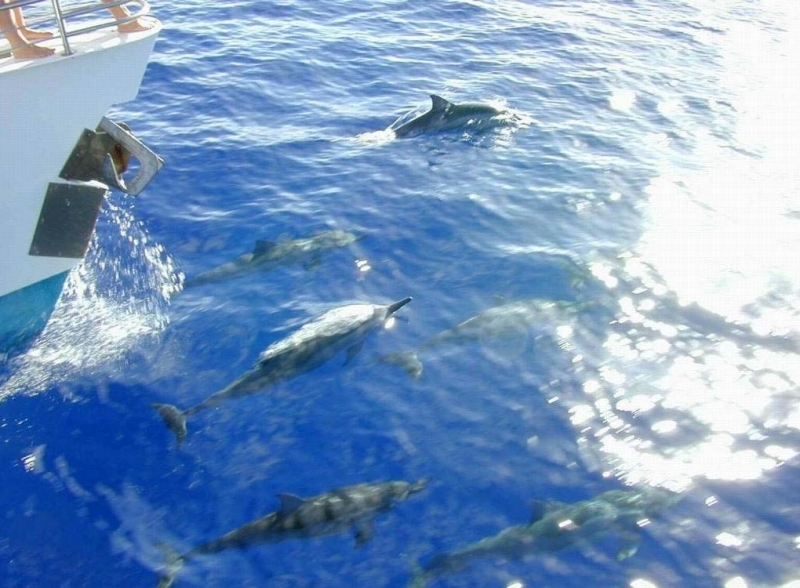 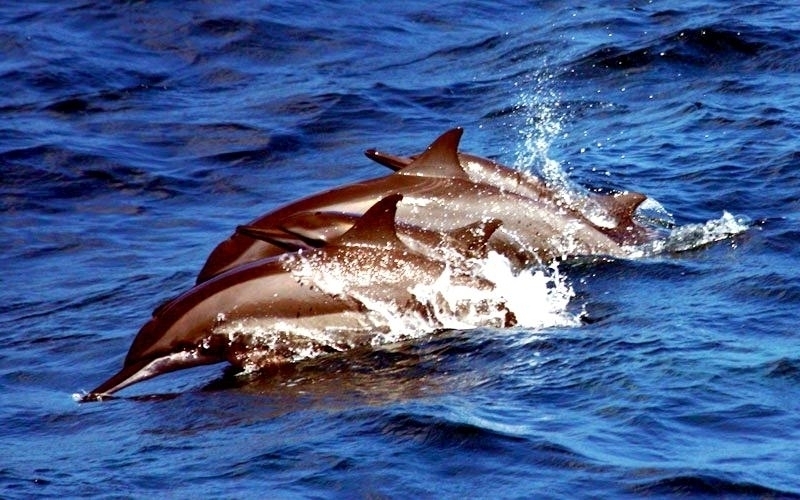 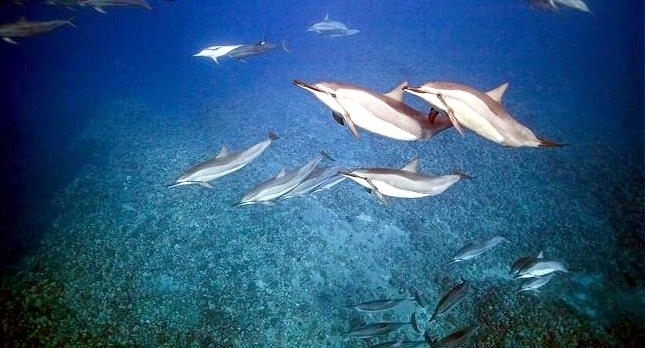 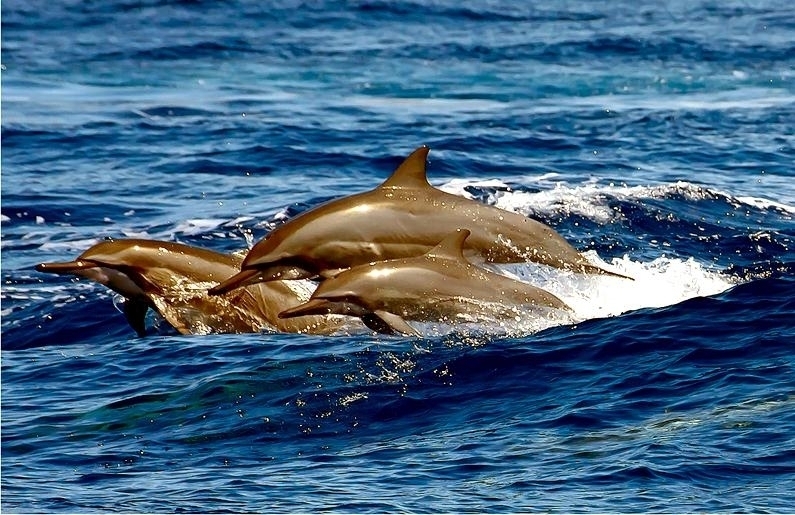 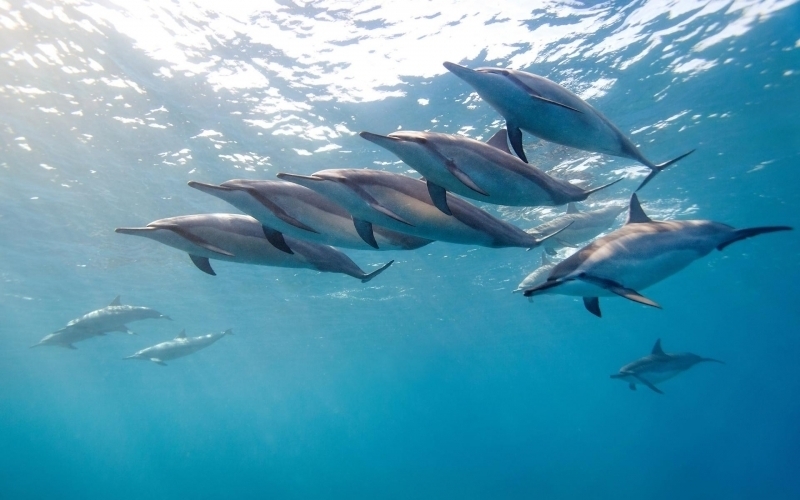 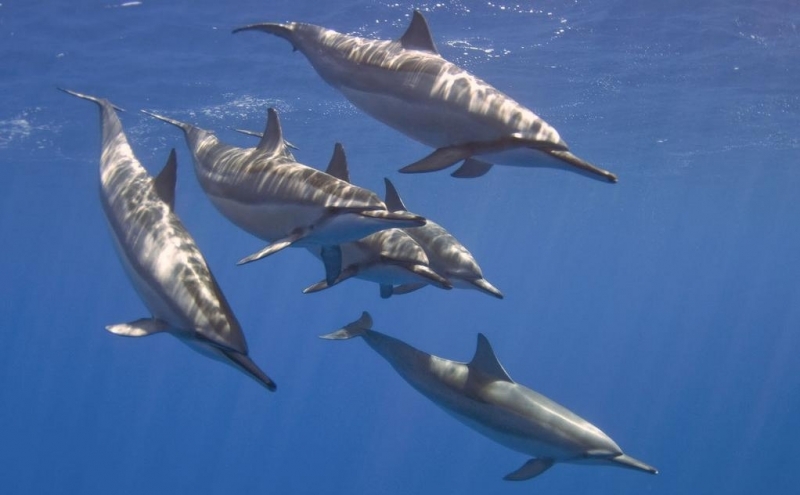 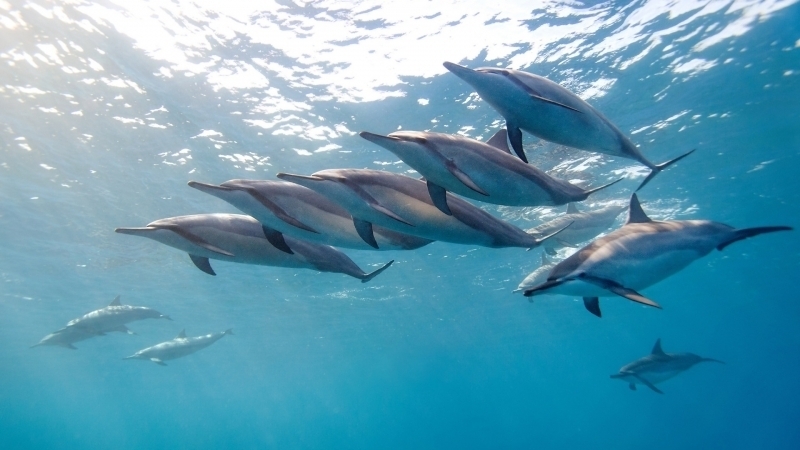 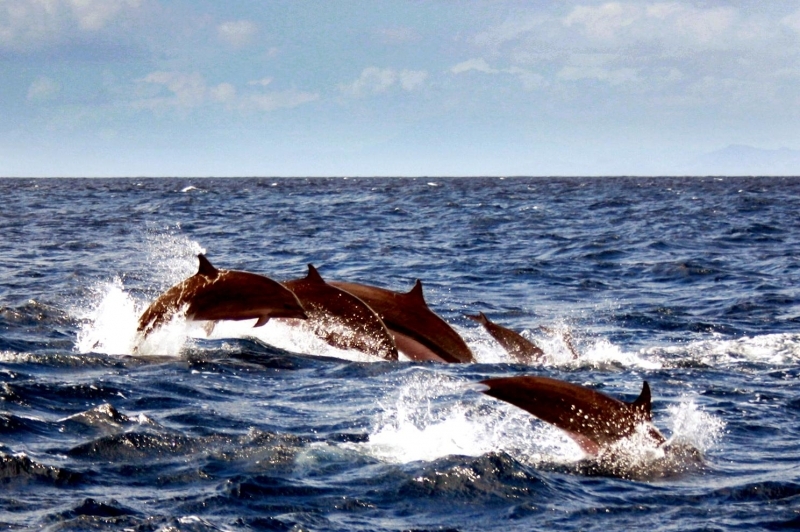 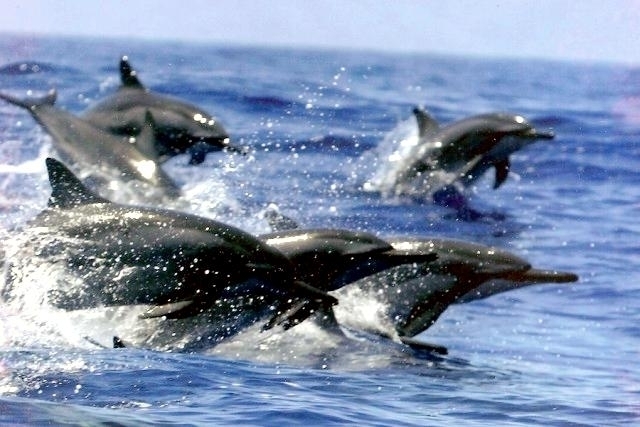 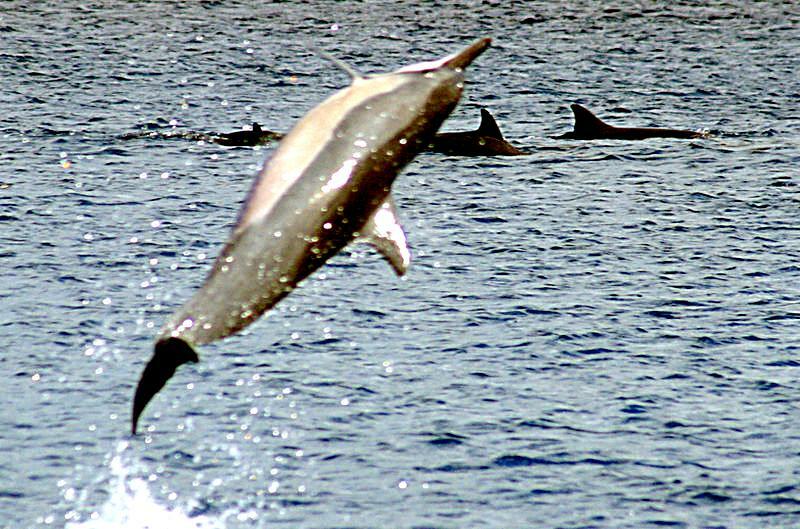 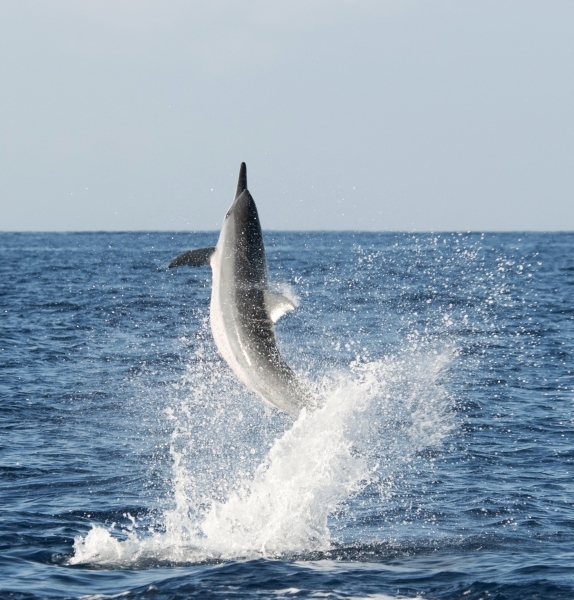 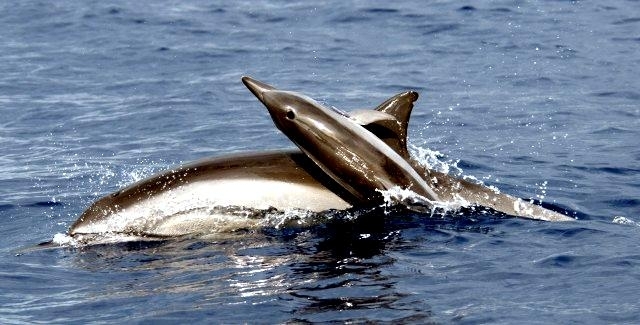 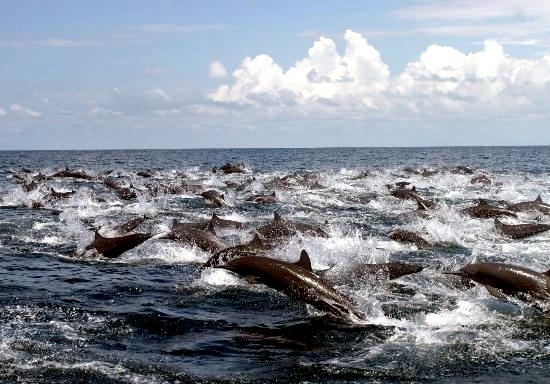 In the eastern tropical Pacific Ocean, Spinner Dolphins swim with Yellowfin Tuna which has resulted in great numbers of Spinner Dolphins caught as by-catch in purse-seines. 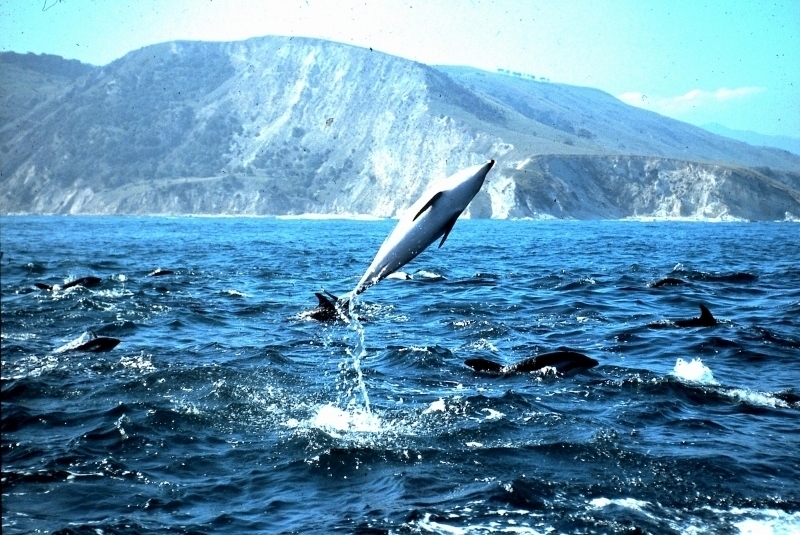 The characteristic “spinning” of this species is thought to be used for communication as it is often observed when a school is scattered. 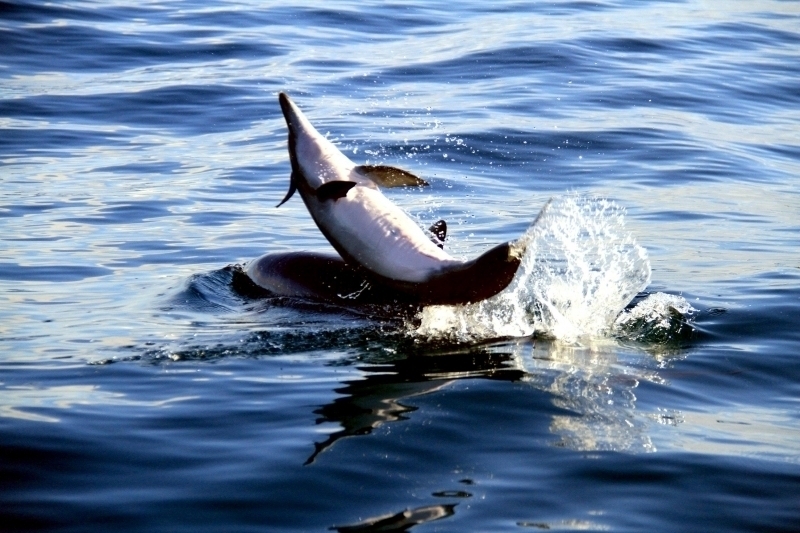 Another theory is that the spinning may be related to the removal of parasites or attached Remoras. 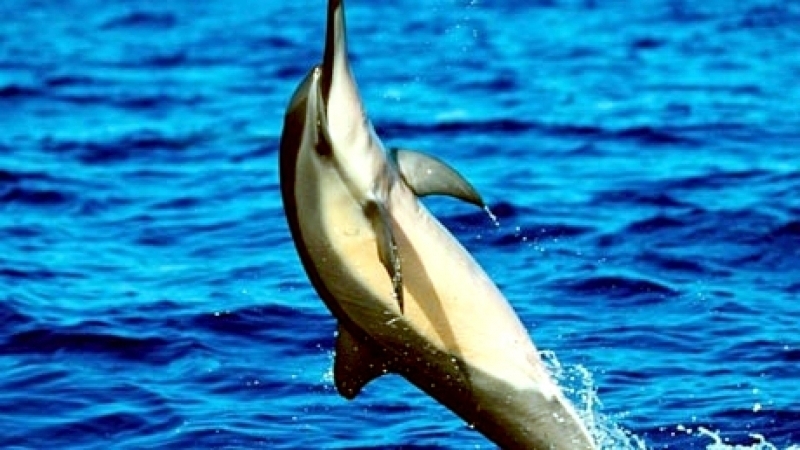 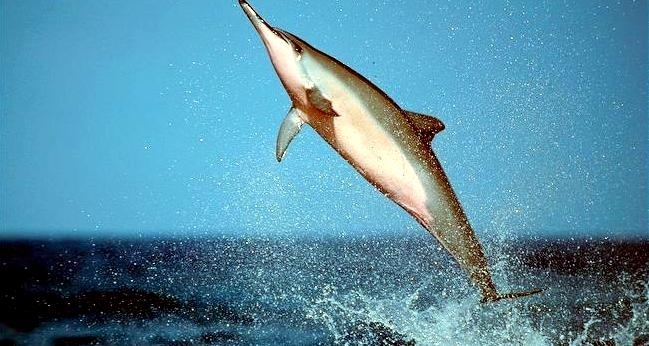 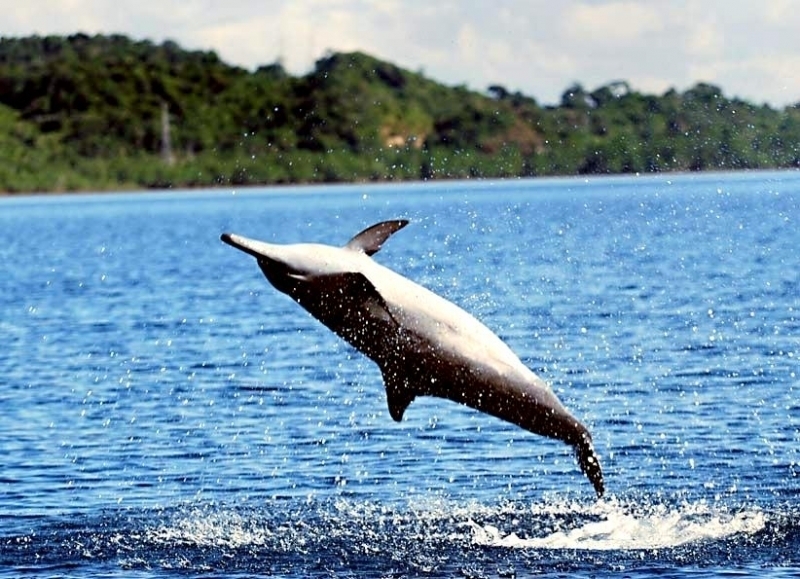 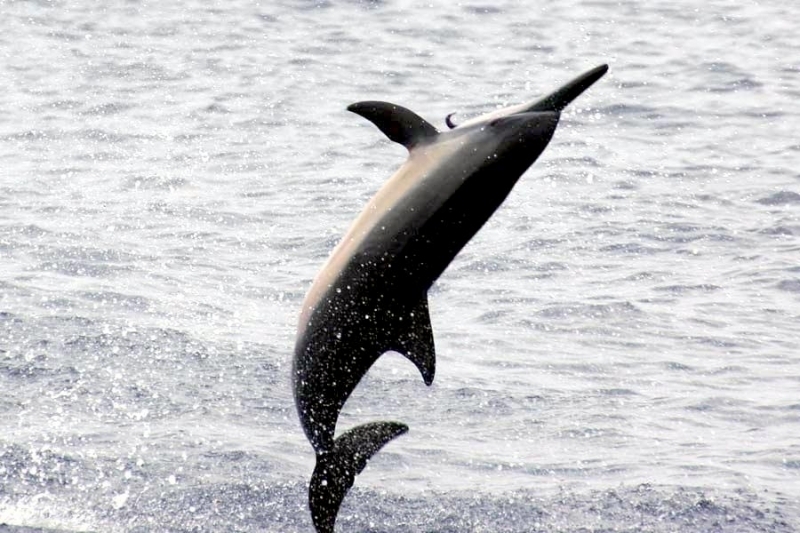 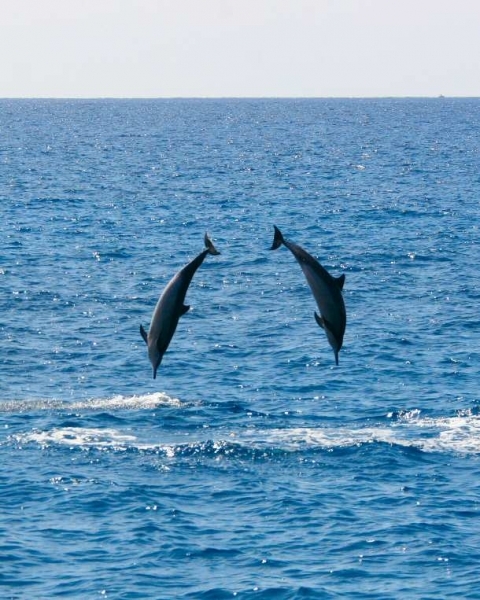 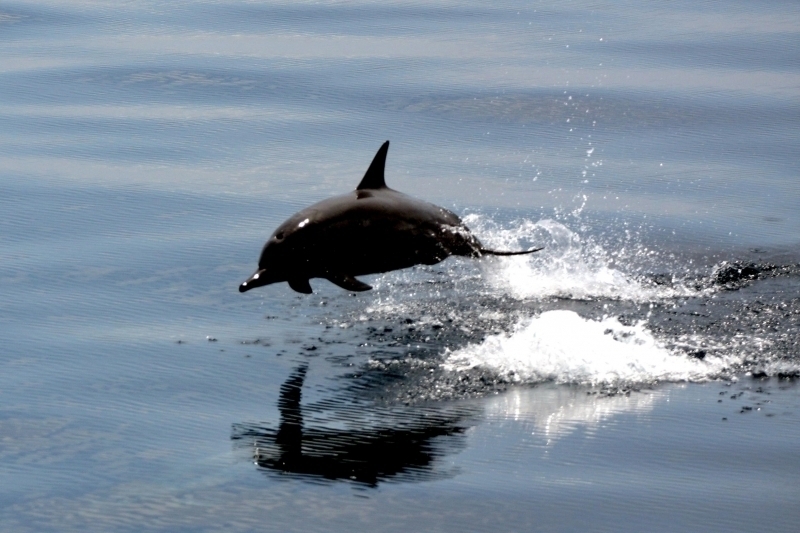 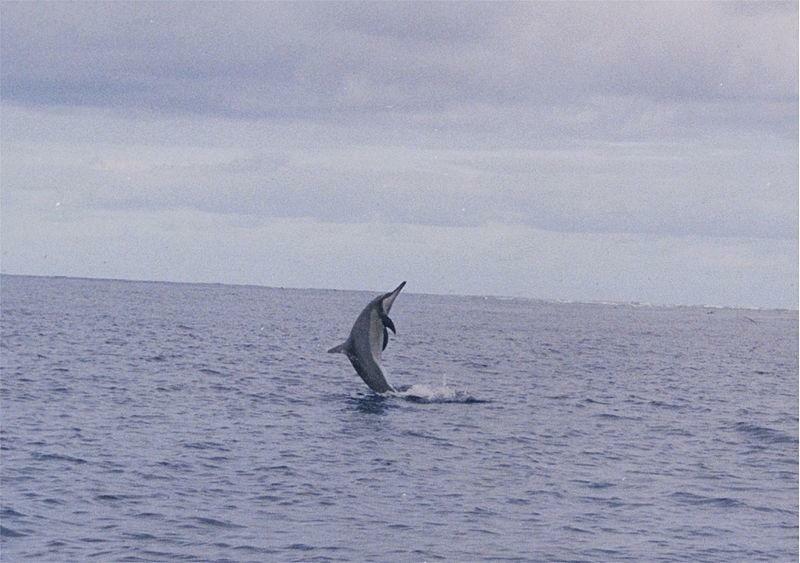 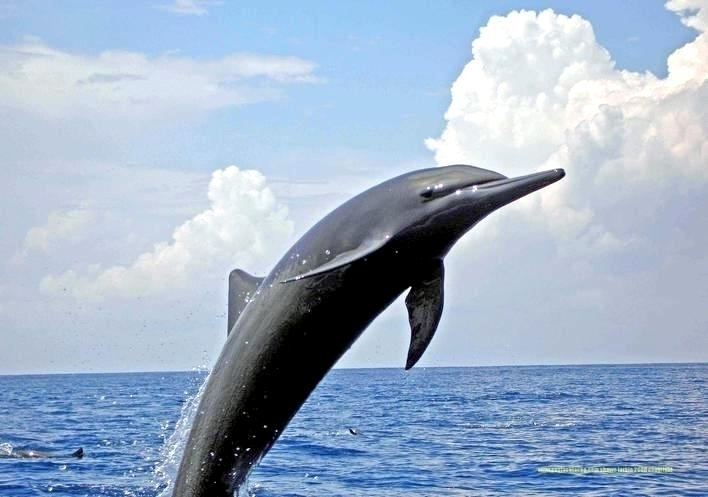 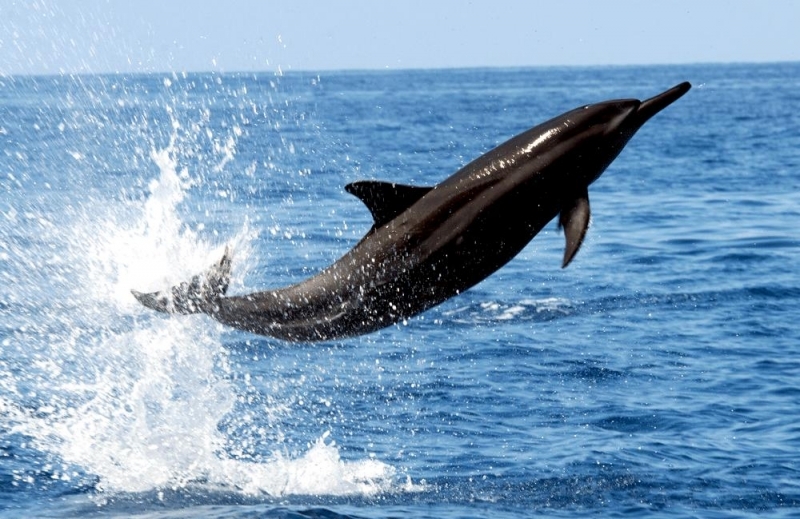 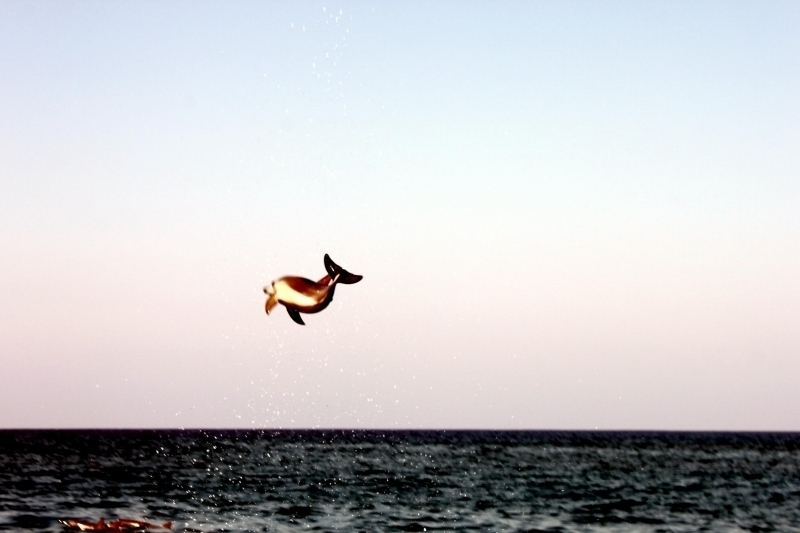 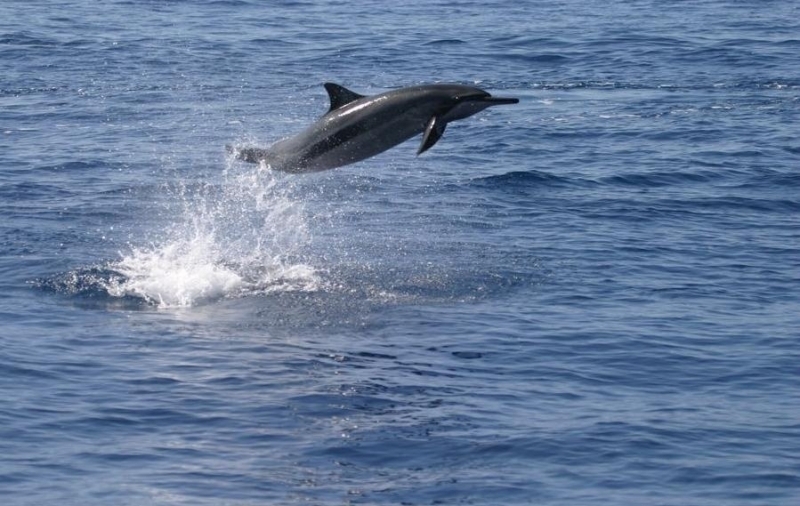 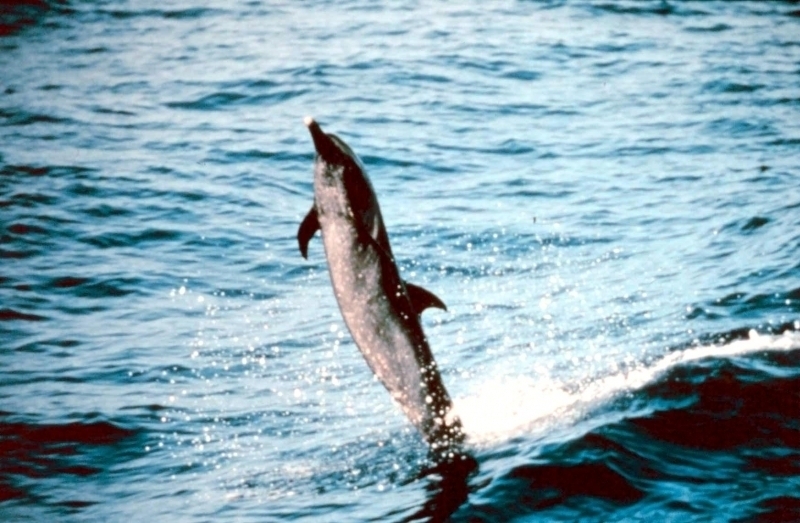 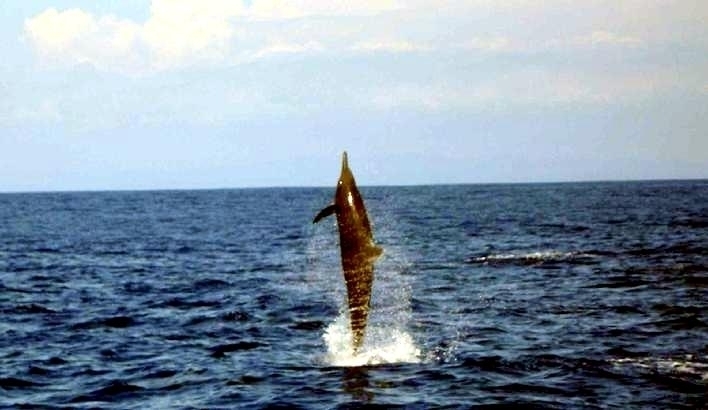 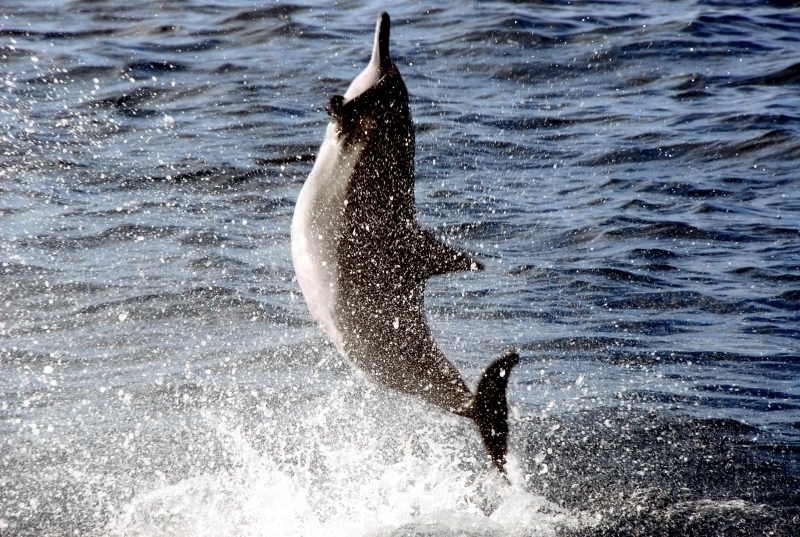 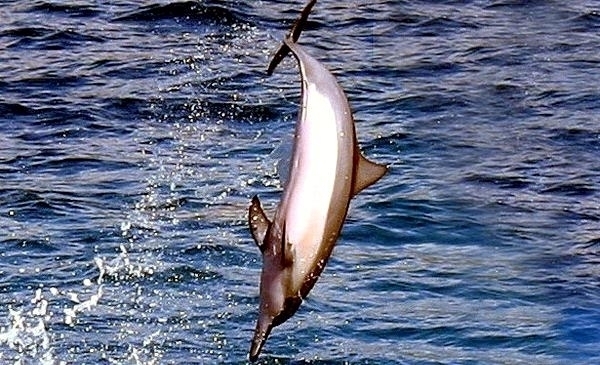 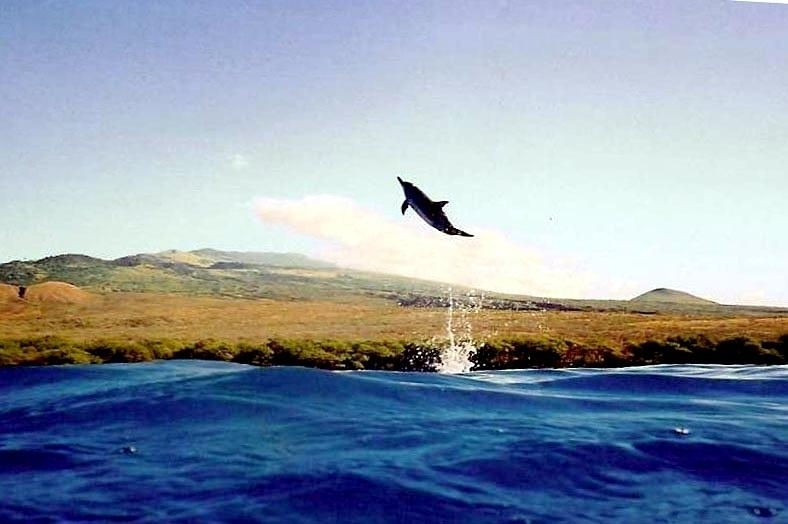 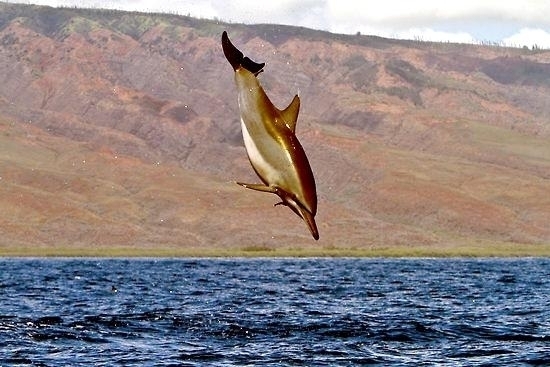 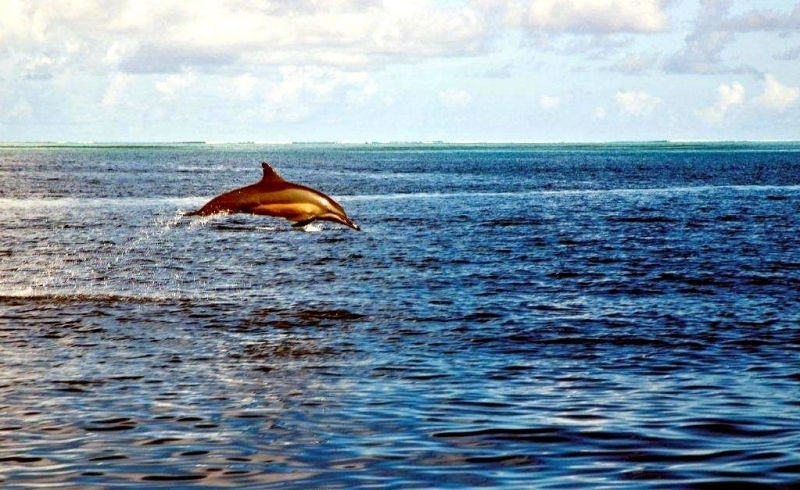 Spinner Dolphins are found all over the world. 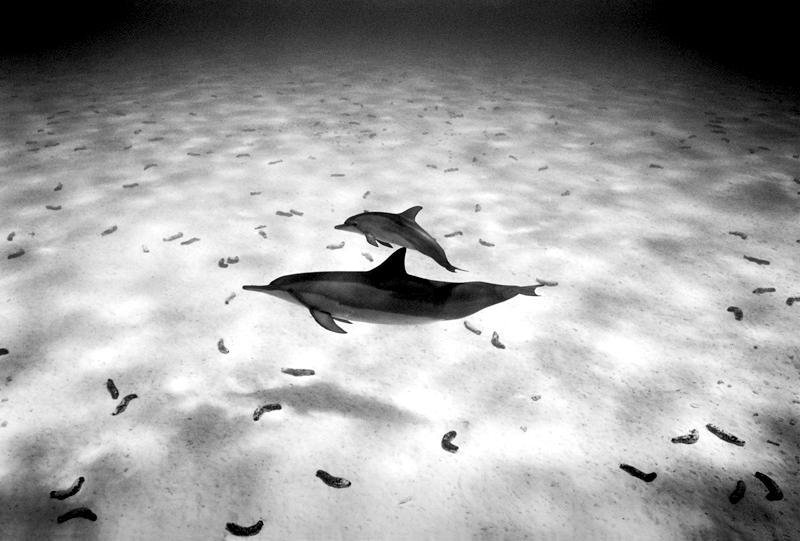 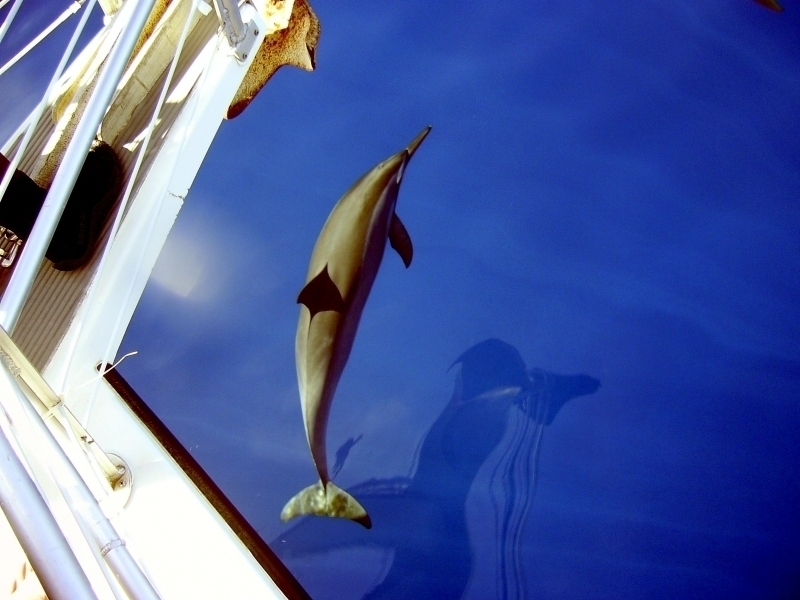 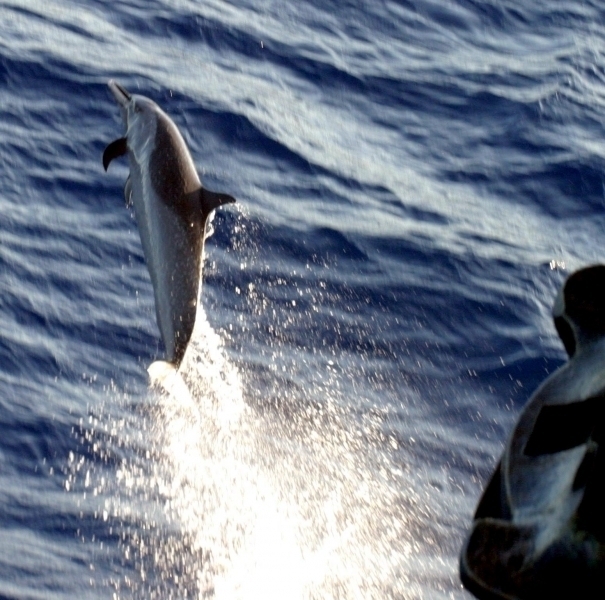 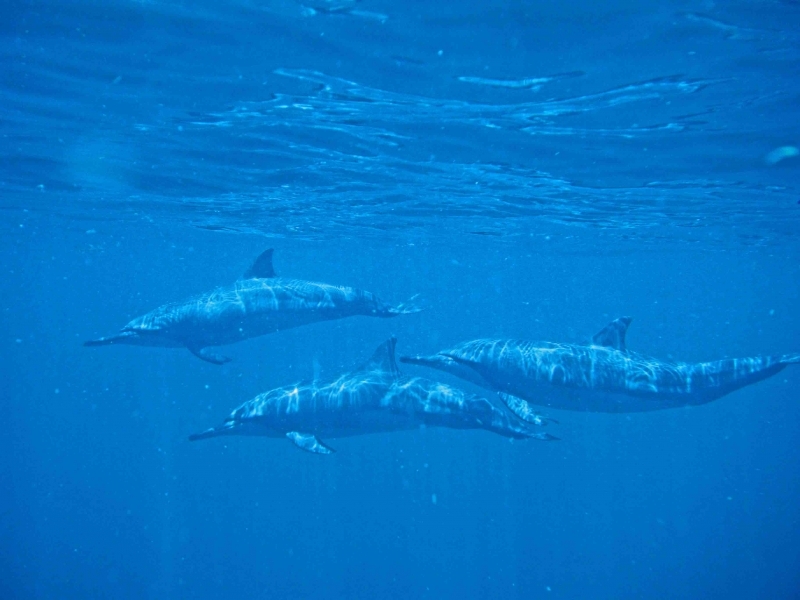 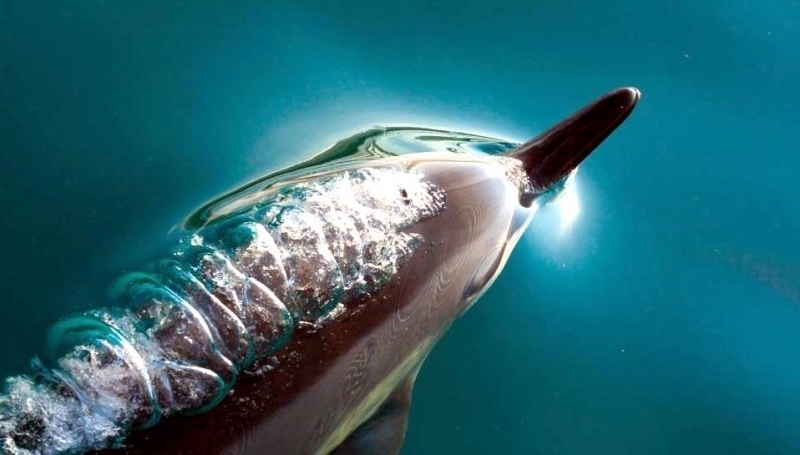 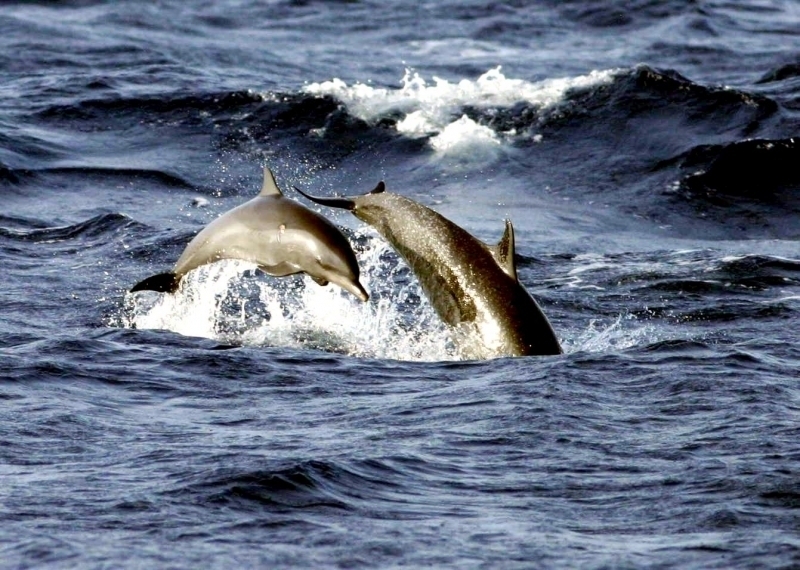 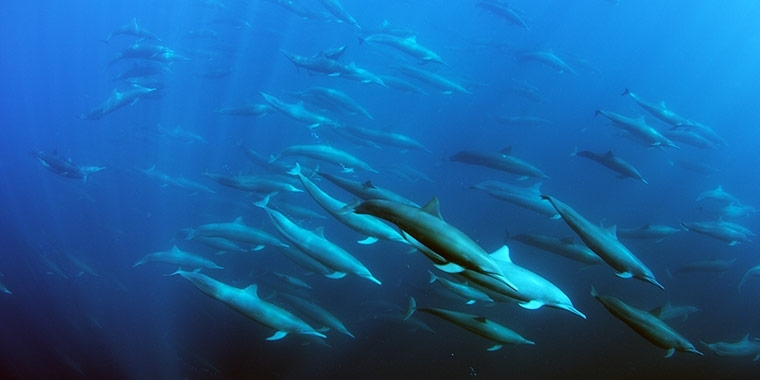 Spinner Dolphins feed at night on small fish and squid. 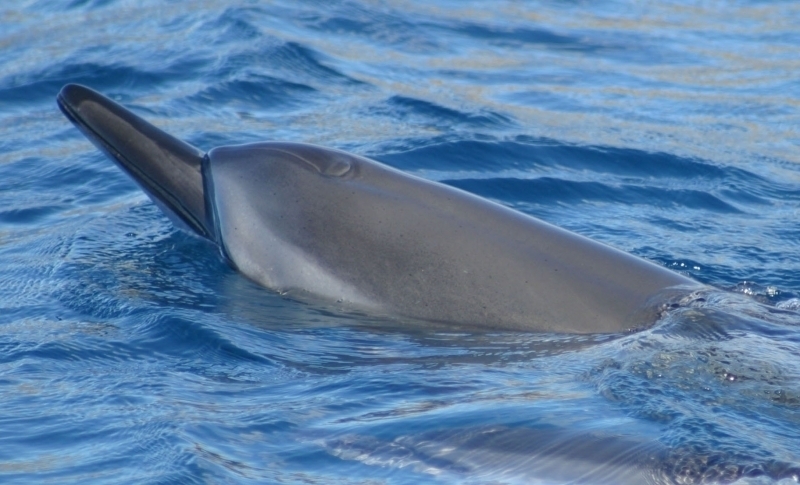 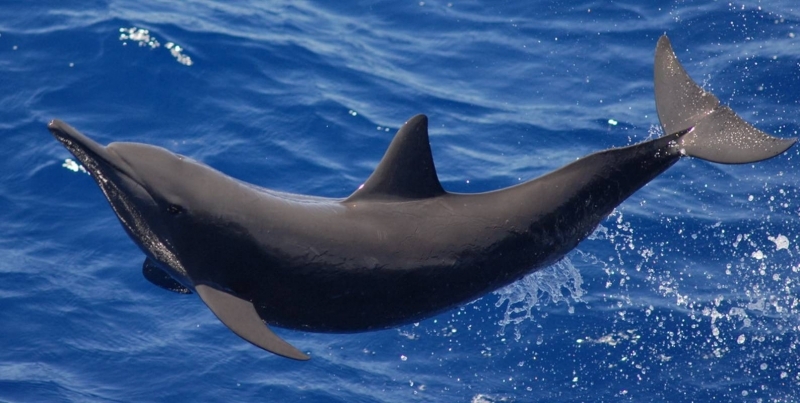 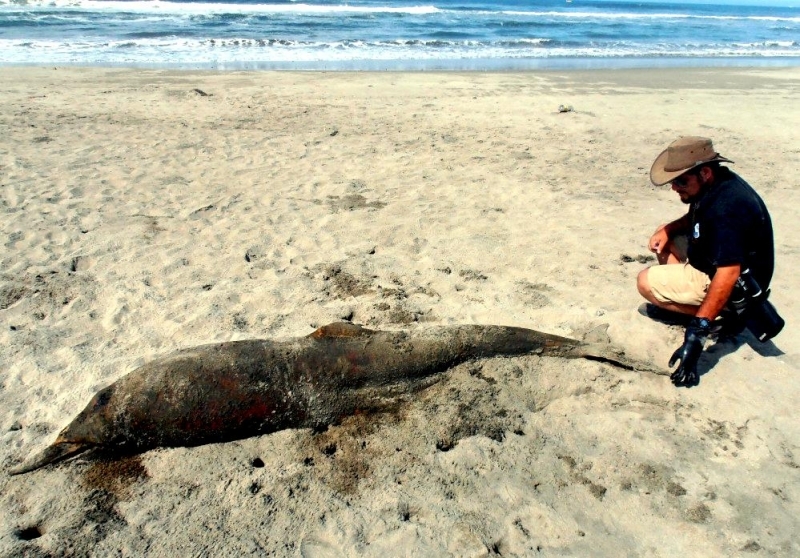 Known predators are sharks, Killer Whales and possibly False Killer Whales, Pygmy Killer Whales and Short-finned & Long-finned Pilot Whales. 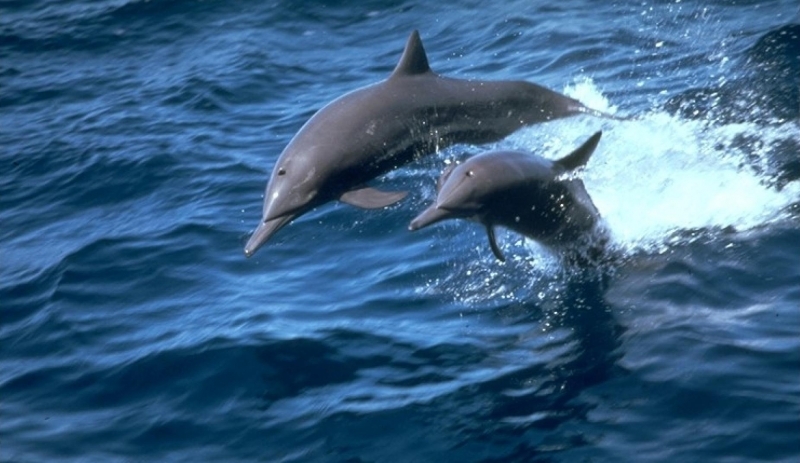 Females reach sexual maturity at about 4-7 years, males at about 7-10 years. 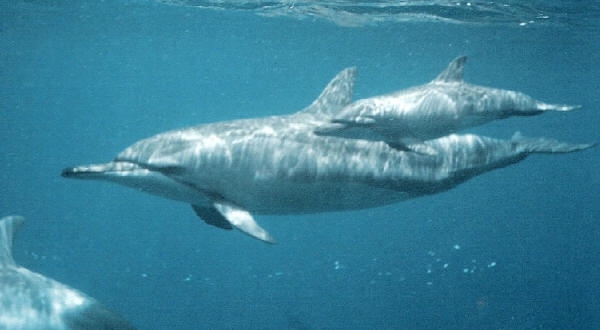 The gestation period lasts about 10.5 months and calves are nursed for 1-2 years. 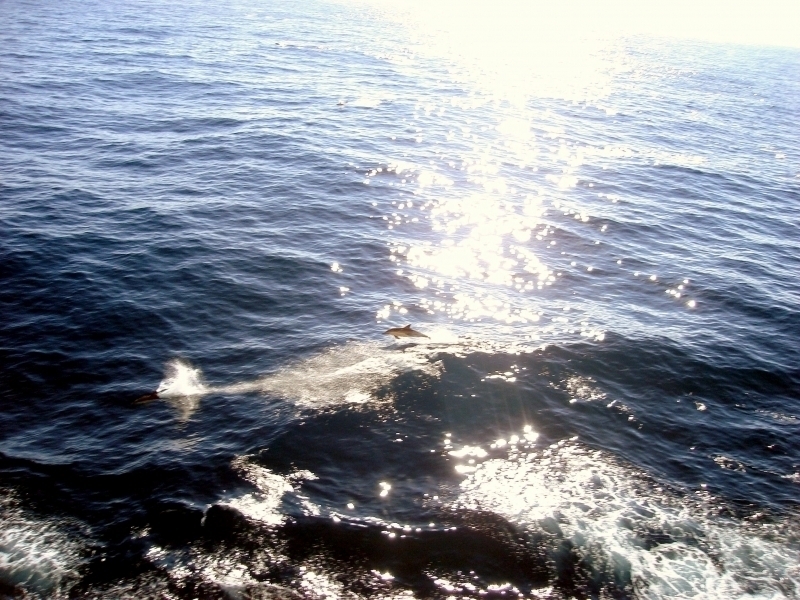 The calving interval is between 2-3 years.